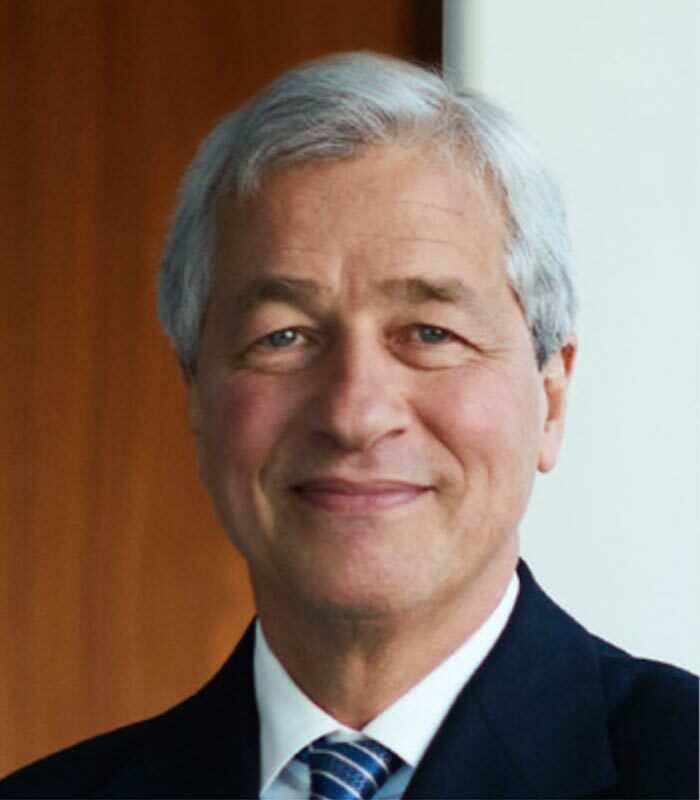 ﻿ Jamie Dimon's Letter to Shareholders, Annual Report 2018 | JPMorgan Chase & Co.
Once again, I begin this annual letter to shareholders with a sense of pride about our company and our hundreds of thousands of employees around the world. As I look back on the last decade — a period of profound political and economic change — it is remarkable how much we have accomplished, not only in terms of financial performance but in our steadfast dedication to help clients, communities and countries all around the world. In 2018, we continued to accelerate investments in products, services and technology. For example, for the first time in nearly a decade, we extended our presence in several states with new Chase branches (we plan to open another 400 new branches in the next few years). In addition, we started a new digital investing platform: You Invest; we launched our partnership with Amazon and Berkshire Hathaway in healthcare; we broadened our commitment to create opportunities for jobs and prosperity and reduce the wealth gap for black Americans with Advancing Black Pathways (announced in February 2019); and we launched our AdvancingCities initiative to support job and wage growth in communities most in need of capital. While it is too soon to assess the impact of these efforts, we’re seeing terrific results so far. 2018 was another strong year for JPMorgan Chase, with the firm generating record revenue and net income, even without the impact of tax reform. We earned $32.5 billion in net income on revenue footnote1 of $111.5 billion, reflecting strong underlying performance across our businesses. Adjusting for the enactment of the Tax Cuts and Jobs Act, we now have delivered record results in eight of the last nine years, and we have confidence that we will continue to deliver in the future. Each line of business grew revenue and net income for the year while continuing to make significant investments in products, people and technology. We grew core loans by 7%, increased deposits in total by 3% and generally grew market share across our businesses, all while maintaining credit discipline and a fortress balance sheet. 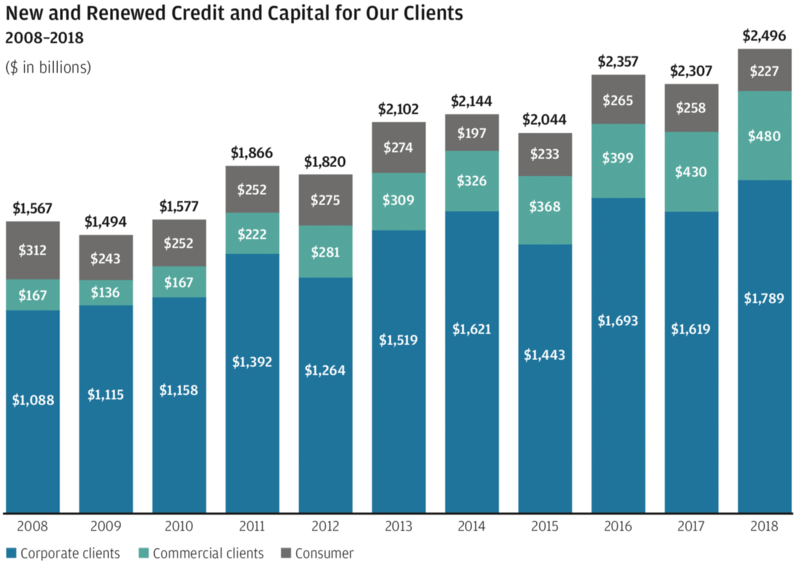 In total, we extended credit and raised capital of $2.5 trillion for businesses, institutional clients and U.S. customers. In last year’s letter, we emphasized how important a competitive global tax system is for America. Over the last 20 years, as the world reduced its tax rates, America did not. Our previous tax code was increasingly uncompetitive, overly complex, and loaded with special interest provisions that created winners and losers. This drove down capital investment in the United States, which reduced domestic productivity and wage growth. The new tax code establishes a business tax rate that will make the United States competitive around the world and frees U.S. companies to bring back profits earned overseas. The cumulative effect of capital retained and reinvested over many years in the United States will help cultivate strong businesses and ultimately create jobs and increase wages. 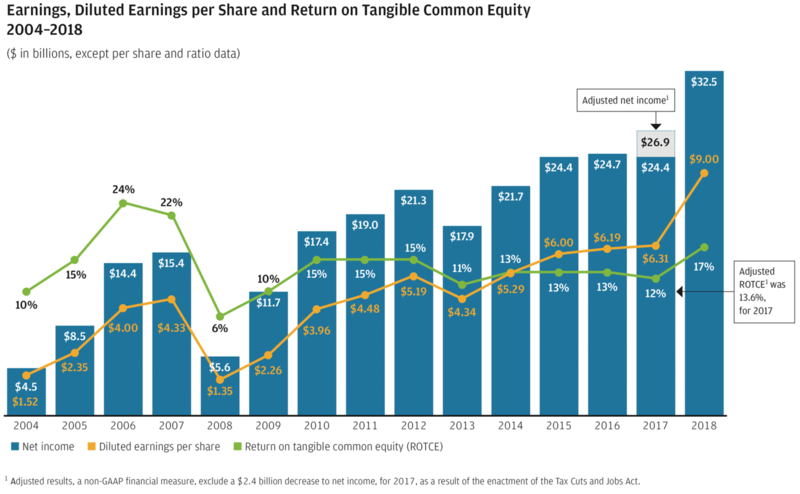 For JPMorgan Chase, all things being equal (which they are not), the new lower tax rates added $3.7 billion to net income. For the long term, we expect that some or eventually most of that increase will be erased as companies compete for customers on products, capabilities and prices. However, we did take this opportunity in the short term to massively increase our investments in technology, new branches and bankers, salaries (we now pay a minimum of $31,000 a year for full time entry-level jobs in the United States), philanthropy and lending (specifically in lower income neighborhoods). As you know, we believe tangible book value per share is a good measure of the value we have created for our shareholders. 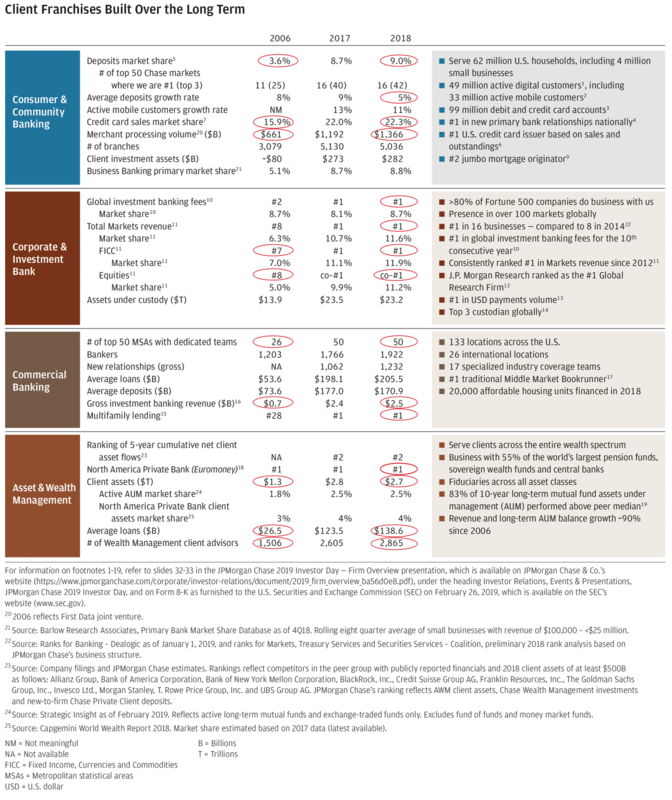 If our asset and liability values are appropriate — and we believe they are — and if we can continue to deploy this capital profitably, we think we can continue to exceed 15% return on tangible equity for the next several years (and potentially at or above 17% in the near term), assuming there is not a significant downturn. If we can earn these types of returns, our company should ultimately be worth considerably more than tangible book value. The chart above shows that tangible book value “anchors” the stock price. In the last five years, we have bought back almost $55 billion in stock or approximately 660 million shares, which is nearly 20% of the company’s common shares outstanding. In prior letters, I explained why buying back our stock at tangible book value per share was a no-brainer. 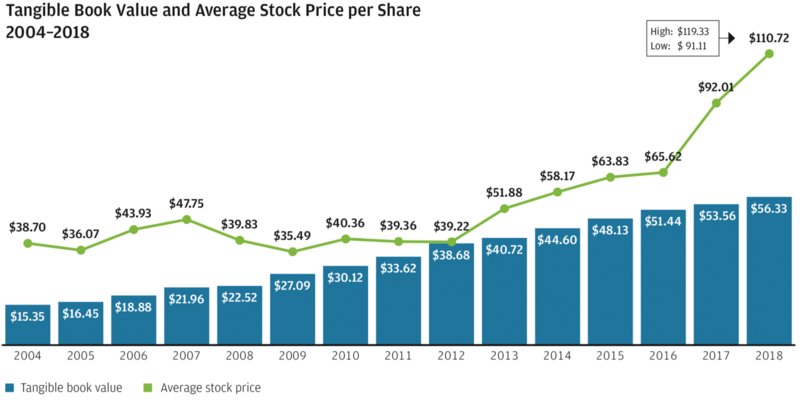 Seven years ago, we offered an example of this: If we bought back a large block of stock at tangible book value, earnings and tangible book value per share would be substantially higher just four years later than without the buyback. While we prefer buying back our stock at tangible book value, we think it makes sense to do so even at or above two times tangible book value for reasons similar to those we’ve expressed in the past. If we buy back a big block of stock this year, we would expect (using analysts’ earnings estimates) earnings per share in five years to be 2%–3% higher and tangible book value to be virtually unchanged. We want to remind our shareholders that we much prefer to use our capital to grow than to buy back stock. I discuss stock buybacks later in this letter. While we don’t run the company worrying about the stock price in the short run, in the long run our stock price is a measure of the progress we have made over the years. This progress is a function of continual investments, in good and bad times, to build our capabilities — our people, systems and products. These important investments drive the future prospects of our company and position it to grow and prosper for decades. 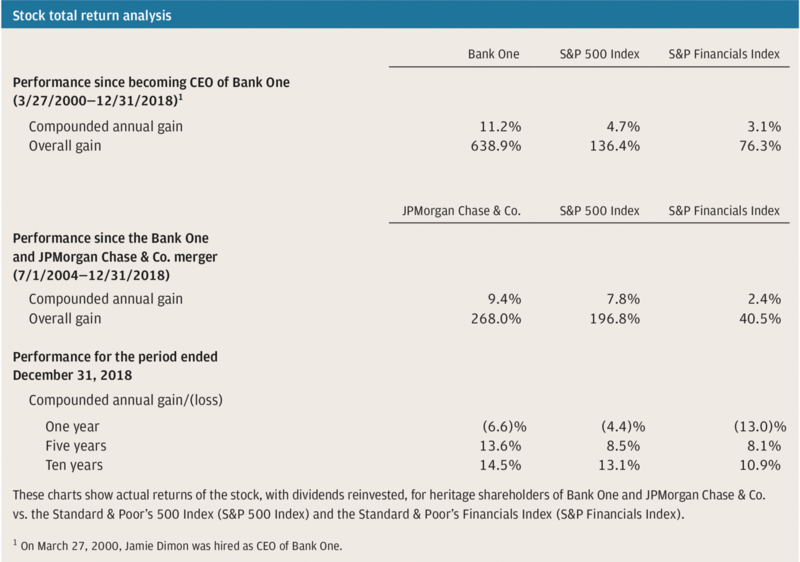 Whether looking back over five years, 10 years or since the JPMorgan Chase/Bank One merger (approximately 14 years ago), our stock has significantly outperformed the Standard & Poor’s 500 Index and the Standard & Poor’s Financials Index. And this growth came during a time of unprecedented challenges for banks — both the Great Recession and the extraordinarily difficult legal, regulatory and political environment that followed. JPMorgan Chase stock is owned by large institutions, pension plans, mutual funds and directly by individual investors. However, it is important to remember that in almost all cases, the ultimate beneficiaries are individuals in our communities. Well over 100 million people in the United States own stock, and a large percentage of these individuals, in one way or another, own JPMorgan Chase stock. Many of these people are veterans, teachers, police officers, firefighters, retirees, or those saving for a home, school or retirement. Your management team goes to work every day recognizing the enormous responsibility that we have to perform for our shareholders. In the first section of this letter, I try to give a comprehensive understanding of how we run our company, including how we think about building shareholder value for the long run. In that section, I highlight our strong belief that building shareholder value can only be done in conjunction with taking care of employees, customers and communities. This is completely different from the commentary often expressed about the sweeping ills of naked capitalism and institutions only caring about shareholder value. In the second section of this letter, I comment on important forward-looking issues. While we remain optimistic about the long-term growth of the United States and the world, the near-term economic and political backdrop is increasingly complex and fraught with risks — both known and unknown. And we face a future with less overall confidence in virtually all institutions, from corporations to governments to the media. 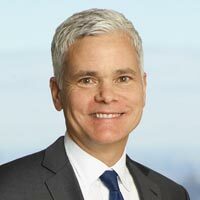 The extremely volatile global markets in the fourth quarter of 2018 might be a harbinger of things to come — creating both risks for our company and opportunities to serve our clients. The third section of this letter is about public policy, specifically American public policy, which is a major concern for our country and, therefore, our company. Again, I try to give a comprehensive, multi-year overview of what I see as some of our problems and suggest a few ways they can be addressed. One consistent theme is completely clear: Businesses, governments and communities need to work as partners, collaboratively and constructively, to analyze and solve problems and help strengthen the economy for everyone’s benefit. First and foremost, we look at our business from the point of view of the customer. We endeavor to be the best at anything and everything we do. We will maintain a fortress balance sheet — and fortress financial principles. We lift up our communities. We always strive to learn more about management and leadership. We do not worry about some issues. We need to continue to restore trust in the strength of the U.S. banking system and global systemically important financial institutions. We have to remind ourselves that responsible banking is good and safe banking. We believe in good regulation — both to help America grow and improve financial stability. We believe stock buybacks are an essential part of proper capital allocation but secondary to long-term investing. On the importance of the cloud and artificial intelligence, we are all in. We remain devoted and diligent to protect privacy and stay cyber safe — we will do what it takes. We know there are risks on the horizon that will eventually demand our attention. We are prepared for — though we are not predicting — a recession. The American Dream is alive — but fraying for many. We must have a proper diagnosis of our problems — the issues are real and serious — if we want to have the proper prescription that leads to workable solutions. All these issues are fixable, but that will happen only if we set aside partisan politics and narrow self-interest — our country must come first. Governments must be better and more effective — we cannot succeed without their help. The rest of us could do a better job, too. CEOs: Your country needs you! America’s global role and engagement are indispensable. In this section, I want to give the reader a comprehensive view of how we run the company. We manage the company consistently with these principles in mind – and they have stood the test of time. We also strive to satisfy, and even exceed, the requirements of our regulators and governments around the globe – and we think these principles are a critical component of that. 1. First and foremost, we look at our business from the point of view of the customer. Customer needs are what gets our attention. We believe that in a hyper-competitive world (from competitors known and unknown), the best strategy – both offensive and defensive – is to give the customer more: something better, faster or more efficiently. We are always on a quest to improve our products and services, and, for the most part, this is done with enhancements in technology and through the continual training of our people. Most fundamental of all is doing the right thing for our customers – in all cases. We energetically drive organic growth. We continue to drive good and healthy organic growth (meaning good customers, products and services they need and want at fair and reasonable prices), and while we are happy with our progress, we recognize that we won’t meet every goal we set for ourselves and can always do better. 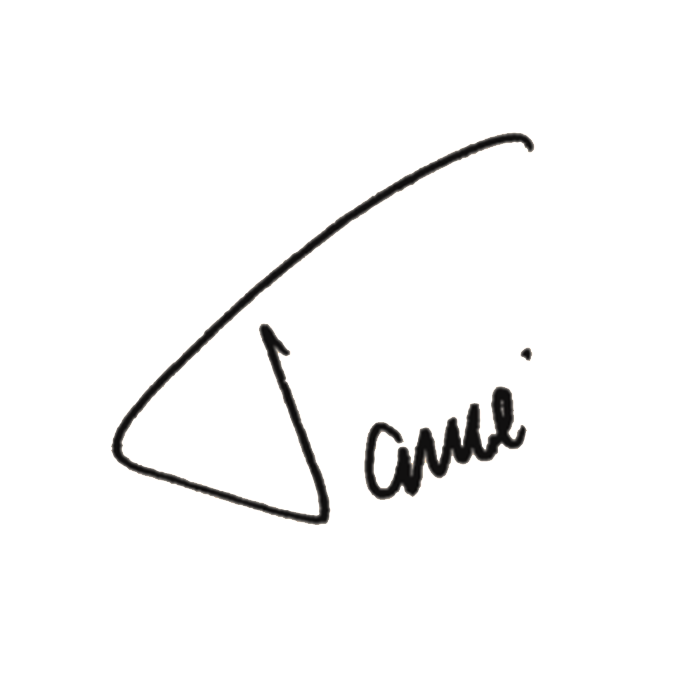 In past letters, we have identified many areas of organic growth. Our achievements with these initiatives are detailed in the CEO letters in this Annual Report, but a few of the critical strategies are highlighted in the sidebar below. By 2022, we expect 93% of the U.S. population to be in our Chase footprint as we expand our branch network to new markets with an integrated physical and digital approach. In addition to entering the Washington, D.C., Philadelphia and Boston markets in 2018, we recently announced nine new markets for 2019, including Charlotte, Minneapolis, Nashville and St. Louis. The onboarding experience for new customers is being simplified. Customers can open a new deposit account digitally in three to five minutes, functionality that added approximately 1.5 million new accounts since its February 2018 launch; we’re expanding this functionality inside our branches as well. We also recently announced Chase MyHome, our new digitally enabled mortgage fulfillment process that prefills applications for our existing customers. It’s 20% faster than our paper-based process, allowing us to close a mortgage within three weeks. Our confidence in our enhanced approach is reflected in our money-back guarantee. Customers recently began receiving personalized merchant offers and discounts from ChaseOffersSM. This program ramped up rapidly, with customers activating 25+ million offers across 7 million cards in the initiative’s first three months. CreditJourneySM, with more than 15 million users enrolled, has also been a tremendously successful way to engage customers through access to credit score information and identity protection. And later this year, we’ll make it easier for our credit card customers to borrow on their existing lines through two new products — My Chase PlanSM, allowing customers to finance a specific purchase at a reasonable cost at the point of sale; and My Chase LoanSM, letting customers borrow against their unused credit limit and pay back their debt in fixed amounts at a competitive rate. These products enable us to compete for the approximately $250 billion in card loans that our existing customers have with competitors. We have been #1 in investment banking for the past decade and finished 2018 with 8.7% of global wallet share, the industry’s best. Still, we believe we can increase our share over time as we continue to add bankers selectively and leverage technology to provide better data and insights to our clients. Our Treasury Services business grew revenue by 13% last year. 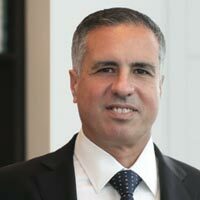 As we further implement our wholesale payments model, which includes merchant services, we will be able to deliver a unique value proposition to our clients. We see opportunities in every customer segment from middle market and small businesses to large corporate clients and their business outside of the United States. We have consistently grown share in Markets — including in businesses where the wallet has shrunk. We are prioritizing investments in products and technology to stay ahead of our clients’ needs. As companies expand their businesses and acquire assets — increasingly across borders — our global expertise in hedging risks and protecting capital can be as important to them as the actual acquisition. Our Securities Services business has transformed itself into an industry powerhouse, and it sits alongside the world’s leading trading businesses. As asset managers face ongoing pressures from passive investing and margin compression in the coming years, we think we have a unique opportunity to help them become more efficient by outsourcing support functions and using our innovative technology platforms. Our Corporate & Investment Bank is one of the few truly global businesses in the financial services industry. As emerging countries take their place on the global stage, we will be there to support them. The investments we are making in China and in other emerging markets today will result in our international growth for years to come. Being able to deliver the broad-based capabilities of JPMorgan Chase at a very local level is a key competitive advantage. Since launching our Middle Market expansion efforts, we are now local in 39 new markets and have added 2,800 clients, resulting in 22% compounded revenue growth over the last three years. Our growth potential for Middle Market business isn’t just limited to our expansion markets. Through data-driven analysis, we’ve identified nearly 38,000 prospective clients nationally. Some of our most exciting opportunities are within our legacy markets like New York, Chicago, Dallas and Houston, where we have been for over a century. Chase’s retail branch expansion amplifies our opportunity to deepen relationships with clients who already are in those markets by giving them access to branches and the additional resources that come with that access. In addition, the expansion opens the opportunity to serve more public sector customers in new U.S. markets through our Government Banking business, deepening community engagement and broadening our work with cities, states, public universities and other municipal clients. Commercial Banking’s partnership with the Corporate & Investment Bank continues to be highly successful and is a key growth driver for both businesses. Being able to deliver the #1 investment bank locally enhances our strategic dialogue with our clients and separates us from our competitors. In 2018, 39% of the firm’s North America investment banking fees came from Commercial Banking clients, totaling $2.5 billion in revenue, up from $1 billion 10 years ago. We expect that number to continue to grow. We are using data and technology to transform how we interact with clients. By integrating our human expertise with distinctive digital offerings like You Invest, we have been able to attract new clients, 89% of whom are first-time investors with Chase. We are expanding our footprint to capture more of the opportunity across the U.S. wealth management spectrum — from mass affluent ($500,000 to $3 million) to high-net-worth ($3 million to $10 million) to ultra-high-net-worth ($10 million or greater). By the end of 2019, we expect to have 6,500 advisors globally on the ground where our clients need us most. We have continued to innovate our product lineup by adding 47 index funds and exchange-traded funds (ETF) over the last three years. The charts below show JPMorgan Chase’s fairly consistent growth over the years. This kind of growth only comes from happy, repeat customers. They have plenty of other choices. 2. We endeavor to be the best at anything and everything we do. While we never expect to be best-in-class every year in every business, we normally compare well with our best-in-class peers. The chart below shows our performance generally, by business, versus our competitors in terms of efficiency and returns. On an ongoing basis, we analyze and compare ourselves with our competitors at a very detailed level. The analysis we do is on more than 50 sub-lines of business and hundreds of products, incorporating not just financial data but also operational data, customer satisfaction and many other measures. Our management will always be very critical of its own performance: Acknowledging our shortcomings and mistakes and studying them intensely and learning from them make for a stronger company. We also never lose sight of the fact that we have an extraordinary number of strong competitors – we cannot be complacent. There are many capable financial technology (fintech) companies in the United States and around the world – technology always creates opportunities for disruption. We have acknowledged that companies like Square and PayPal have done things that we could have done but did not. They looked at clients’ problems, improved straight through processing, added data and analytics to products, and moved quickly. We recently sent one of our senior teams to China to study what’s being achieved there with artificial intelligence (AI) and fintech, and it’s hard not to be both impressed and a little worried about the progress China has made – it made our management team even more motivated to move quickly. Suffice it to say, no matter what our current performance is, we cannot rest on our laurels. 3. We will maintain a fortress balance sheet — and fortress financial principles. A fortress company starts with a fortress balance sheet. You can see in the chart below that our balance sheet is extraordinarily strong. We have an incredibly well-capitalized bank with enormous liquidity. But a fortress balance sheet isn’t enough. To be a fortress company, we believe that you also need to have strong, properly diversified earnings and margins. It is capital and liquidity combined with strong earnings and margins that provide the ability to withstand extreme stress. I want to remind shareholders that we run hundreds of stress tests internally each month, some of which are far more severe than the Federal Reserve’s (the Fed) annual stress test. We also believe that we should have strong earnings after making investments for the future – which may reduce earnings in the short run. We are cost- and capital-efficient; we rigorously allocate our capital; and we continually analyze our businesses, both to maximize their individual performance and to make sure they are contributing to the health of the whole company. We like to use our capital to grow. We much prefer to use our capital to grow than to buy back stock. We believe buying back stock should be considered only when either we cannot invest (sometimes as a result of regulatory policies) or we are generating excess capital that we do not expect to use in the next few years. Buybacks should not be done at the expense of investing appropriately in our company. Investing for the future should come first, and at JPMorgan Chase, it does. However, when you cannot see a clear use for your excess capital over the short term, buying back stock is an important capital tool – as long as you are buying it back at a reasonable price. And when companies buy back stock (which we only do when it is at a price that we think adds value to our remaining shareholders), the capital is redistributed to investors who can put it to good use elsewhere. It does not disappear. We currently have excess capital, but we hope in the future to be able to invest more of it to grow our businesses. Good financial management is also critical. Accounting rules can be counterintuitive, but you can't make business decisions based on them. While we are rigorous about proper accounting and disclosure, sometimes accounting can distort the actual economics of a business. A few examples will suffice. In credit card accounting, for instance, new card customer costs are expensed over the course of a year and inexplicably as a contra-revenue item (i.e., as a reduction of revenue rather than an expense). In addition, under upcoming accounting rules, losses that are expected over the life of the card balance are accounted for upfront. Meanwhile, the earnings from the card are booked over the life of the card, which averages approximately seven years. 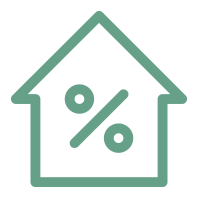 In connection with mortgage loans we don’t own but instead service (i.e., by sending statements and receiving payments on behalf of the mortgagor), the accounting standard requires that we present-value expected revenue and expenses and book everything upfront. But in cash management, asset management and many other products that have a similar, somewhat predictable annuity-like revenue stream, the practice is different. The reason I am making this point is that you need to understand the economics of decisions. Accounting can easily make people do silly things. Conservative accounting is better. While we always try to make intelligent economic decisions, I do believe that appropriately conservative accounting is a better way to manage your business. For example, recognize problems early, write off software that is not valuable, don’t book revenue that is uncertain and so on. Aggressive accounting leads to trouble, and while it may help increase performance measures in the short run, it will most certainly be uncovered and reversed at precisely the wrong time. Earnings guidance can be very damaging. Let’s be very clear: Transparency with shareholders, proper disclosures and guidance on certain revenue, expense and balance sheet items all are good. However, earnings themselves in any one quarter are a function of decisions made over many, many years. Quarterly earnings are dependent upon many factors, like cost of goods sold and market prices, which often change, as well as unexpected events, the weather, and wage and gross domestic product (GDP) growth. No CEO can predict all of those things, and any analyst with an earnings estimate has made his or her own specific assumptions around them. The real damage to an organization comes from the cumulative corrosiveness of trying to “make” its numbers. This can be exacerbated by compensation deals and models that can be manipulated to change quarterly results. It’s easy to change earnings in a quarter by doing stupid things that help earnings in the short term but are bad in the long term. Examples include asking customers to inappropriately buy more products before the end of the quarter so you can show revenue growth, reducing marketing, not opening that new branch or not investing in technology that won’t have a payback for a year or two. I could go on and on. And this could spiral within a company, as loyal, well-meaning employees do what they can to help a company meet its "earnings goal." Importantly, in the next section, I speak in detail about responsible banking, client selection and intensive risk management. Proper management is as critical as anything else we do, but I did not want to repeat the messages here. 4. We lift up our communities. We will never forget that the most important thing we do is to run a healthy and vibrant company that is here to constantly serve our clients with responsible banking. But we want our shareholders and all of our constituents to understand the tremendous amount we do, in addition to traditional banking, to help the communities in which we operate. Our effort is substantial, permanent and supported by the whole company. One of the reasons for JPMorgan Chase’s enduring success is we have always recognized that long-term business success depends on community success. When everyone has a fair shot at participating in and sharing in the rewards of growth, the economy will be stronger and our society will be better. We are making significant, long-term, data-driven business and philanthropic investments aimed at opening doors to opportunity for those being left behind. Most people consider corporate responsibility to be enhanced philanthropy. While we are devoted to philanthropy (we are on our way to spending $350 million a year on these efforts), corporate responsibility is far more than just that. We finance more than $2 billion in affordable housing each year; we do extensive lending in low- and moderate-income neighborhoods; we lend to and finance small businesses around the country; and we design products and services in financial education for lower income individuals. And importantly, these efforts are supported by senior leadership, managed by some of our best people (these efforts are not an afterthought) and are sustainable. We try to be creative, but we analyze everything, including philanthropy, based on expected results. We are huge supporters of regional and community banks, which are critical to many cities and small towns around the country. In an op-ed published by The Wall Street Journal in 2016, I wrote: "In this system, regional and smaller community banks play an indispensable role. They sit close to the communities they serve; their highest-ranking corporate officers live in the same neighborhoods as their clients. They are able to forge deep and long-standing relationships and bring a keen knowledge of the local economy and culture. They frequently are able to provide high-touch and specialized banking services." 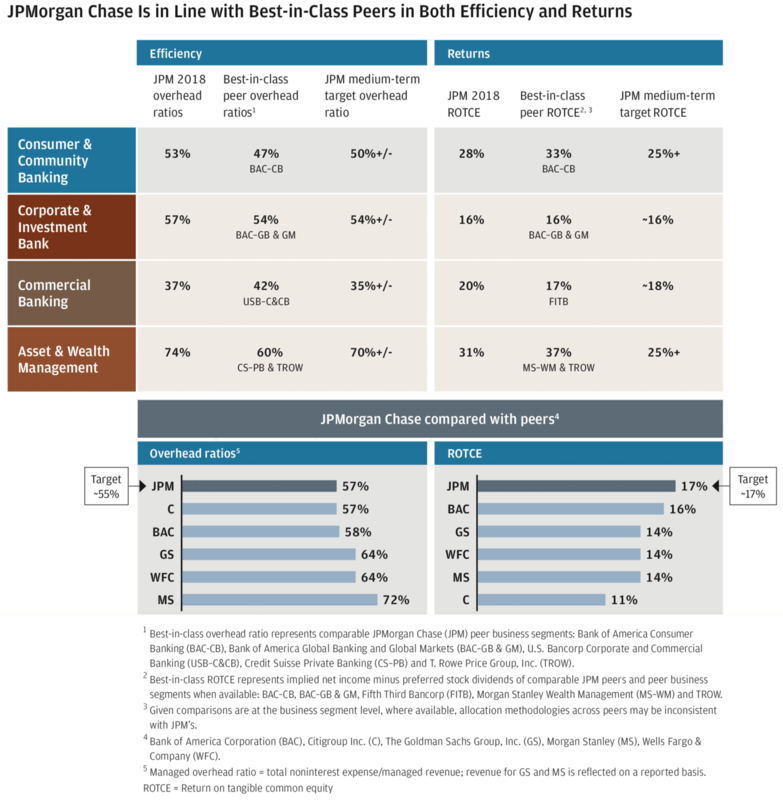 JPMorgan Chase, as a traditional “money center bank” and “bankers’ bank,” in fact, is the largest banker in America to regional and community banks. We bank approximately 530 of America’s 5,200 regional and community banks. In 2018, we made loans to them or raised capital for them totaling $4 billion. In addition, we process payments for them, we finance some of their mortgage activities, we advise them on acquisitions, and we buy and sell securities for them. We also provide them with interest rate swaps and foreign exchange both for themselves – to help them hedge some of their exposures – and for their clients. Detroit exemplifies the challenges many cities wrestle with, as well as the strategies for solving them. Since 2014, JPMorgan Chase has been combining its philanthropy and business expertise to address some of Detroit’s biggest economic hurdles, ranging from catalyzing development, building infrastructure and affordable housing, and boosting small business growth to revitalizing education and preparing Detroiters with the skills to secure well-paying jobs. We are deeply proud of our $150 million commitment and the impact we have made to date – the city has been the proving ground for our model for driving inclusive growth, which has made a real difference in Detroit’s comeback and the lives of its citizens. Over the past five years, we have taken lessons learned and applied them to other cities facing similar challenges. The Entrepreneurs of Color Fund (EOCF) is another example of how we are turning our insights into action. In 2015, JPMorgan Chase helped launch the Entrepreneurs of Color Fund in Detroit to provide underserved entrepreneurs with access to capital and assistance needed to grow and thrive. From 2015 to 2018, the fund made or approved loans totaling $6.6 million to 79 minority small businesses, resulting in over 830 new or preserved jobs. Since then, the Detroit fund has more than tripled in size to over $22 million. Building on the success of Detroit’s EOCF, we expanded this model to San Francisco, the South Bronx, the Greater Washington region and Chicago, where it is also making a real impact. In total, these funds are now approximately $40 million and growing. In 2018, we launched AdvancingCities, JPMorgan Chase’s $500 million, five-year initiative to drive inclusive growth in cities around the world. Through this effort, we are combining our business and philanthropic resources and expertise to expand opportunity for those being left behind in today’s economy. This is a global program. Marking our firm’s 150th anniversary in France last year, we announced a $30 million, five-year commitment – the first AdvancingCities investment – to support underserved small businesses and provide skills training to residents in Seine-Saint-Denis and other areas in Greater Paris with high levels of poverty and unemployment. Our recent $350 million New Skills at Work commitment is focused on how we prepare people to succeed in our transformed workplaces and changing global economy. Over the past five years, we have supported worker education and training around the world – collaborating with nearly 750 partners and nonprofits in 37 countries and 30 U.S. states, affecting 150,000 individuals. We are now bolstering our strategy by promoting better ways for business and education to collaborate, scaling the best education and job training programs. 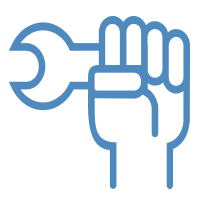 While we know a fundamental disconnect still remains between business and the average citizen, we also believe that the only solution is to remain relentless in our efforts to earn trust from every customer in every community. We believe that is the best we can do. As the largest financial institution in the country, JPMorgan Chase understands our responsibility to earn public trust with everyone, every day. Black Americans are still worse off financially. Businesses can help. For all the positive economic trends in America, the racial wealth gap continues to prevent growth from benefiting everyone. While this is not a new crisis, it is one we must urgently address so that economic opportunity is equally extended to black Americans. Racism, intolerance, and poverty strangle economic opportunity. The racial wealth gap is stark: For single black Americans, the median wealth is $200 to $300, compared to $15,000 to $28,000 for single white Americans. This divide undermines financial stability for many black Americans. Closing the racial wealth gap is good for Americans, and it makes good business sense. We know employees from diverse backgrounds offering different perspectives drive better corporate outcomes. A recent study showed that businesses with diverse leadership generate 19% more revenue than non-diverse companies. Diversity can also reduce turnover. Nearly seven in 10 millennials reported they would continue to work at a company for five or more years if it is diverse. As leaders in business as well as the broader community, we know we have a responsibility to society. Not to mention, as financial services executives, we can help to foster widespread prosperity. To this end, we have both worked to empower black Americans to achieve personal and professional success. For example, After School Matters, a nonprofit founded in 2000, provides enrichment programs to thousands of inner-city high school students in Chicago. Meanwhile, JPMorgan Chase’s Fellowship Initiative, founded in 2010, offers hands-on college access and academic support to young men of color in Los Angeles, New York, Chicago and Dallas. The scale and success of these efforts are impressive — but not enough. There is much more work to be done. Recently, we announced Advancing Black Pathways — a new program at JPMorgan Chase that seeks to build on existing efforts to bridge the racial wealth divide and ultimately help black families build wealth. We urge more businesses to join us as we attempt to close this divide. Our current initiative, Advancing Black Leaders, seeks to hire and promote more black senior executives and junior-level employees at JPMorgan Chase. We know investing in our employees is key to our company’s future. In addition to recruiting more African-American leaders, we also need to focus on retaining them. Since 2016, the firm has increased the number of black managing directors by 41% and black executive directors by 53%. A good start — but just the beginning. Advancing Black Pathways will create a dedicated talent pipeline that will start young black professionals on an early career path and foster a corporate culture that further encourages diversity at all levels. We plan to hire more than 4,000 black students in full-time positions, apprenticeships, and internships over the next five years. JPMorgan Chase will also help create job training programs that are aligned with growing industries in the broader communities we serve. We are also investing in the financial success of black Americans through a focus on savings, homeownership, and entrepreneurship. For example, the largest wealth gaps lie in racial disparities among entrepreneurs. If people of color owned businesses at the same rates as whites, 9 million more jobs and $300 billion in income would be created. As part of this effort, we are helping to create a $6.65 million Entrepreneurs of Color Fund with local partners in the Washington, D.C. region to expand access to capital, improve business services, and streamline supplier diversity programs for small, minority-owned businesses. To date, we have launched similar low-cost loan funds in four other U.S. cities, bringing other investors to the table, and leveraging nearly $40 million to support underserved entrepreneurs. Thus far, Entrepreneurs of Color Funds have created or saved more than 1,200 jobs in critical neighborhoods lacking needed resources to grow. Businesses of every size have an important role to play in expanding opportunity. By working together, we can give people a fair and equal chance to succeed, no matter their zip code or skin color. When disaster strikes, we give special care to our customers. Re-entered damaged areas, often as the first bank, filling our ATMs and quickly reopening our branches to give customers access to cash, as well as crucial documents in their safe deposit box. Activated our special-care line with specialists to quickly help customers. Extended and deferred payments on customers’ car loans. Provided necessary relief on customers’ mortgage loans. Removed minimum payments on credit cards, reducing cash payments and limiting the impact on customer credit reports. In addition, in 2018, donated more than $4 million to emergency assistance agencies around the world, which included immediate help following the earthquake and tsunami in Indonesia, wildfires in Greece, and devastating floods and landslides in western Japan. Over the past five years, contributed more than $22 million to support immediate and long-term recovery from disasters. 5. We take care of our employees. Our employees are fundamental to the vibrancy and success of our company. At the end of the day, everything we do – from operations and technology to service and reputation – is completely based upon the abilities and character of our employees. We have more than 256,000 employees globally, with over 170,000 in the United States. Our commitment to creating an inclusive organization is not only about doing the right thing; it’s about doing what makes our company stronger. In 2016, we introduced Advancing Black Leaders, an expanded diversity strategy focused on increased hiring, retention and development of talent from within the black community. We magnified that effort in 2019 with our Advancing Black Pathways initiative (which is outlined in the sidebar above). Now, in the United States, 50% of our firm’s workforce is ethnically diverse. That said, we know we have work to do to increase the representation of ethnically diverse employees at senior levels of the company. 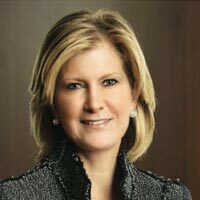 On gender diversity, women represent 30% of our firm’s senior leadership globally. These are women who run major businesses and functions – several units on their own would be among Fortune 1000 companies. Investing in the advancement of women is a key focus for our company, and we have established a global firmwide initiative called Women on the Move that empowers female employees, clients and consumers to build their career, grow their businesses and improve their financial health. To encourage diversity and inclusion in the workplace, we have 10 Business Resource Groups (BRG) across the company to connect approximately 100,000 participating employees around common interests, as well as foster networking and camaraderie. Groups are defined by shared affinities, including race and cultural heritage, generation, gender, sexual orientation, disability and military status. For example, some of our largest BRGs are Adelante for Hispanic and Latino employees, Access Ability for employees who have a disability, AsPIRE for Asian and Pacific Islander employees, NextGen for early career professionals, PRIDE for our LGBT+ employees, BOLD for black employees and Women on the Move, our largest group, which has more than 30,000 members globally. We have been raising wages for our 22,000 employees at the lower end of the pay range. For those earning between $12 and $16.50 an hour in the United States, we have been increasing hourly wages to between $15 and $18, depending on the local cost of living. For employees making $40,000 a year or less in the United States, our average pay increases are around $4,800. This is the right thing to do, and we now offer well above the average hourly wage for most markets. Remember, these jobs are often the first rung on the ladder, and many of these employees soon move on to higher paying positions. These increases are on top of the firm’s comprehensive benefits package, with an average value of $12,000 for employees in the lower wage tier. We provide comprehensive retirement benefits, including a competitive 401(k) plan and dollar-for-dollar match on 5% of pay. For 2018, the 401(k) plan match, totaling approximately $482 million, enhanced the retirement savings of 135,000 employees. We recognize that many employees who earn under $60,000 a year often do not invest in a 401(k) plan because they cannot afford the lost cash flow and, therefore, do not receive the match. For these employees, we make a discretionary $750 Special Award to them. This provided 56,000 U.S. employees with $40 million in additional retirement funds – and this money is granted whether or not they make their own contribution to a 401(k) plan. We offer a comprehensive health benefits package in the United States, including a medical plan that covers over 296,000 individuals (138,000 employees, 106,000 children and 52,000 spouses/domestic partners). 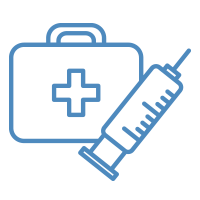 In 2018, we covered $1.3 billion in medical costs (net of employee payroll contributions). We care very much about our employees’ health. We subsidize the health benefit costs of lower wage earners up to 90% of the total cost – for higher paid employees, we subsidize approximately 60%. In addition, recognizing the hardship that deductibles cause for lower paid employees, effective January 1, 2018, we lowered the deductible in the medical plan by $750 for employees earning less than $60,000. For these employees, if they do their wellness screenings, their effective deductible could be zero. Enrolled employees and spouses/domestic partners earned collectively about $100 million toward their Medical Reimbursement Accounts in 2018, funded by JPMorgan Chase, for completing wellness activities. Outside the United States, we provide medical coverage to 80,000 employees and their families under local medical insurance plans. 62% of employees around the globe have access to our 54 on-site Health & Wellness Centers, which are staffed with doctors, nurses, nurse practitioners and other health professionals. These centers are extensively visited – in excess of 600,000 encounters a year. And over 100 visits were potentially life-saving interventions (involving, for example, urgent cardiac or respiratory issues). We extensively invest in employee benefits and training opportunities so that our workers can continue to increase their skills and advance their career. 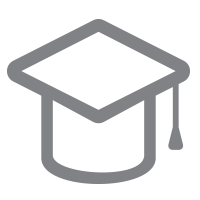 Our total direct investment in training and development is approximately $250 million a year. What’s more important and hard to measure is the on-the-job training that just about every employee gets from their manager – education that leads to deep knowledge and promotion opportunities (and, unfortunately, lots of recruiting from our competitors). In 2018, we delivered 9 million hours of training to our employees worldwide, augmented by several new digital learning innovations. Since inception of the program in 2015, 26,500 managers (approximately 60% of all managers) have attended one or more Leadership Edge programs. These offer critical training in leadership and management. While this initiative is costly, we are starting to see results in terms of reduced attrition, higher satisfaction from employees and better management. Effective January 1, 2019, we implemented a new Volunteer and Employee Engagement Paid Time Off policy, which provides up to eight hours of paid time off each calendar year for volunteer and other firm-sponsored activities. The new policy increases opportunities for employees to participate in volunteer activities and give back to our communities. In 2017, we increased paid parental leave for the primary caregiver to 16 weeks, up from 12 weeks, for eligible employees in the United States. In 2018, we extended the leave for non-primary parental caregivers to six weeks of paid time off (up from two weeks). Our veteran-focused efforts are centered on facilitating success in veterans’ post-service lives primarily through employment and retention. In 2011, JPMorgan Chase and 10 other companies launched the 100,000 Jobs Mission, setting a goal of collectively hiring 100,000 veterans. The initiative has resulted in the hiring of more than 500,000 veterans by over 200 member companies of the Veteran Jobs Mission, with the ultimate goal of employing 1 million veterans. JPMorgan Chase has hired more than 14,000 U.S. veterans since 2011 – including over 1,100 in 2018 alone – with more than 50% coming from diverse backgrounds. We offer internship and rotational entry programs to ease the transition from military service to the financial services industry. Once at our firm, veterans can count on the support of our Office of Military and Veterans Affairs, which sponsors mentorship programs, acclimation and development initiatives, recognition events and other programs to help bridge the gap between military and corporate cultures. More than 1,000 mortgage-free homes have been awarded to military families through nonprofit partners as part of our firm’s Military Home Awards Program. We completely support the U.S. military. We cannot understand how any U.S. citizen does not support the extraordinary sacrifice and hardship borne by the military to help protect this great nation. Needless to say, our success is impossible without our employees, and we strive mightily to help them in both their professional and personal lives. 6. We always strive to learn more about management and leadership. At the end of the day, everything we do is done by human beings. In my annual letter to shareholders, I always enjoy sharing what we have learned about management, leadership and organizations over time. You need to stay hungry and scrappy. Competition is everywhere, but, often, very successful companies are lulled into a false sense of security. Having worked at a number of companies not nearly as successful as ours (I have to confess that I kind of liked being the underdog), we fought every day to even try to get to the major leagues. All companies are subject to inertia, insipid bureaucracy and other flaws, which must be eradicated. If a company isn’t staying on edge, maintaining a fire in its belly and pushing forward, it will eventually fail. 7. We do not worry about some issues. We do not worry about the stock price in the short run. If you continue to build a great company, the stock price will take care of itself. We do not worry about quarterly earnings. Build the company for the future, and you will maximize earnings over the long run. While we worry extensively about all of the risks we bear, we essentially do not worry about things like fluctuating markets and short-term economic reports. We simply manage through them. We do not worry about loan growth. It is most definitely an outcome of how we manage credit and client decisions. We will not stretch, ever, to show growth in loans. While we fanatically manage our company, we do not worry about missing revenue or expense budgets for good reasons. This is not a mixed message. We want our leaders to do the right thing for the long term and explain it if they have good reasons to diverge from prior plans. We do not worry about charge-offs increasing in a recession – we fully expect it, and we manage our business knowing there will be good times and bad times. Suffice it to say, we stay devoted to these principles. In this section, I review and analyze some of the current critical issues that affect our company. 1. We need to continue to restore trust in the strength of the U.S. banking system and global systemically important financial institutions. An enormous amount has been accomplished in the last decade. The strength, stability and resiliency of the financial system have been fundamentally improved over the course of the last 10 years. While I don’t agree with all of the Wall Street Reform and Consumer Protection Act (Dodd-Frank) regulations, the bill did give regulators needed authority to fix our financial system’s most critical flaws. These post-crisis reforms have made banks much safer and sounder in the three most important areas: capital, liquidity, and resolution and recovery. 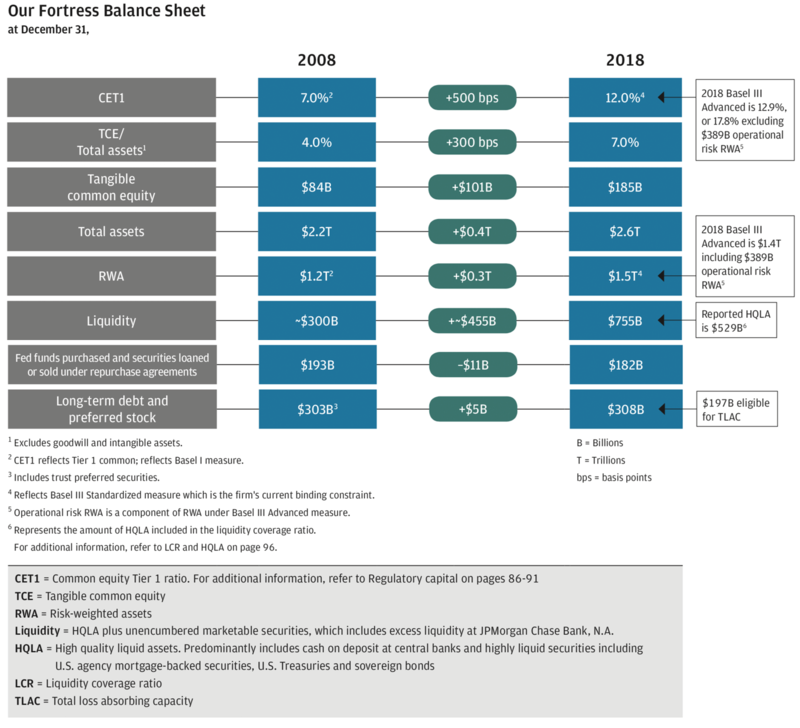 Large banks, defined as global systemically important financial institutions, have more than doubled their highest quality capital to protect against losses, and they have tripled their liquid assets to total assets ratio to protect against unexpected net cash outflows. This allows healthy banks to weather extreme stress while continuing to provide credit and support to their clients (see message to employees below that describes many of the lessons learned from the crisis and the extensive steps we took to help our clients). Here’s an eye-opening example of how much capital is now in the system: Under the Fed’s most extreme stress-testing scenario, where 35 of the largest American banks bear extreme losses (as if each were the worst bank in the system), the combined losses are about 6% of the total loss absorbing resources of those 35 banks. 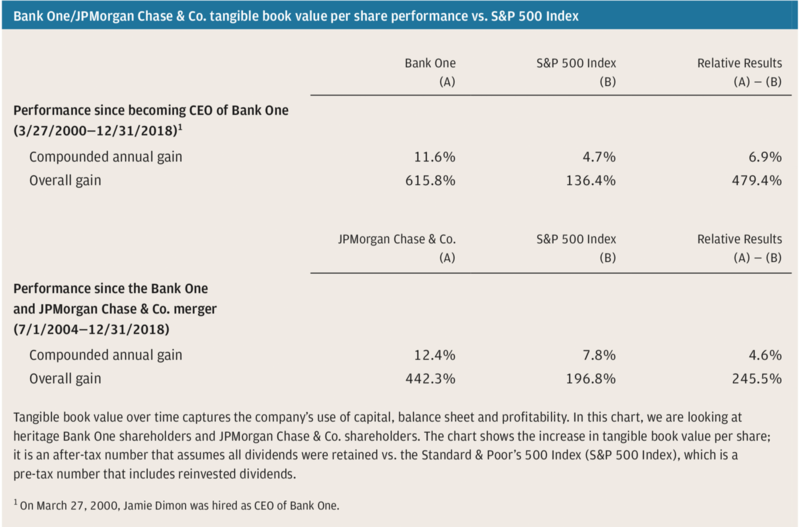 JPMorgan Chase alone has nearly three times the loss absorbing resources to cover the projected losses of all of these 35 banks (see chart below). In addition, resolution and recovery regulations have given regulators both the legal authority and the tools to manage a failing or failed institution (see my comments in the sidebar below about how Lehman Brothers would have played out under today’s new rules). This allows regulators to minimize the impact of a major failed institution on both taxpayers and the system. A decade has passed since the collapse of Lehman Brothers so now is a good time to reflect on the financial crisis that was raging 10 years ago this month. A lot has been written — and far more is still to be written — on this crisis, but I would like to share a few thoughts with you on that extraordinary period of time and everything that all of you at JPMorgan Chase did to try to help. The gathering storm hit with a vengeance. While the collapse of Lehman in September 2008 was the epicenter of the crisis, it was actually far more complex than that — the roots go back to before 2006. By late 2006, we already saw problems in subprime mortgages, leveraged lending and quantitative investing. With the onset of Basel II, leverage at investment banks (not commercial banks) more than doubled, as did shadow banking (think structured investment vehicles, collateralized debt obligations, money market funds and so on). This was often funded by unsecured, undependable short-term wholesale borrowing. Then the biggest problem of all presented itself: It was not just subprime mortgages that were flawed – but all mortgages. This happened, in hindsight, by bad underwriting, government policy that fueled and fostered inappropriate mortgage lending (higher and higher loan-to-values, less and less cash down, weaker appraisals and insufficient income certification), unscrupulous brokers and cavalier investors. The banks, though not the worst actors in mortgages, joined the party, too. When the world realized that $1 trillion would ultimately be lost in mortgages, panic ensued. There were multiple failures — mortgage brokers, savings and loans (S&L), including Washington Mutual (WaMu) and IndyMac, as well as Fannie Mae and Freddie Mac (which were the largest financial failures of all time) — culminating in the dramatic failure of Lehman, followed by the extraordinary bailouts of AIG and other major financial institutions. JPMorgan Chase did everything it possibly could do to help during this time. On March 16, 2008, we announced our acquisition of Bear Stearns, a company with $300 billion of assets, which had collapsed and had fatal problems (we were essentially buying a house … but it was a house on fire). And we did this at the request of the U.S. government (thinking at the time that this could help head off a terrible crisis). On September 25, 2008, 10 days after the collapse of Lehman Brothers, we bought the largest S&L — WaMu — another company that had $300 billion of assets. We took other extraordinary actions — often at calculated but great risk to JPMorgan Chase — to support clients, including governments, and to support the markets in general. We loaned $70 billion in the global interbank market when it was needed most. With markets in complete turmoil, we were the only bank willing to single-handedly lend $4 billion to the state of California, $2 billion to the state of New Jersey and $1 billion to the state of Illinois. Additionally — and frequently — we loaned or raised for our clients $1.3 trillion at consistent and fair rates, in many cases far below what the market would have demanded, and we provided more than $100 billion to local governments, municipalities, schools, hospitals and not-for-profits over the course of 2009. Many other banks did the same. You probably will be surprised to find out that we lent a tremendous amount of money to Lehman before the crisis — and even more after the crisis. In fact, at the request of the Federal Reserve, we took extraordinary risk to lend more than $80 billion (on a secured basis) to Lehman after its bankruptcy to help facilitate sales of assets in as orderly a way as possible to minimize disruption in the markets. This was a traumatic, historic period of time not just for the financial system but for the world as a whole. We endured a once-in-a-generation economic, political and social storm, and because of you, we have emerged 10 years after this crisis as a company of which we can all be proud. The aftermath and lessons learned. Many people still ask me about the Troubled Asset Relief Program (TARP), a government program that provided funding to banks in the midst of the crisis. JPMorgan Chase did not want or need TARP money, but we recognized that if the healthy banks did not take it, no one else could — out of fear that the market would lose confidence in them. And while it helped create the false rallying cry that all the banks needed support, the government, both the Federal Reserve and the Treasury, was trying everything it could in addition to TARP. And the Federal Reserve and the Treasury should be congratulated for the extraordinary actions they took to stave off a far worse crisis. In hindsight, it is easy to criticize any specific action, but, in total, the government succeeded in avoiding a calamity. There were many lessons learned from the crisis: the need for plenty of capital and liquidity, proper underwriting and regulations that are constantly refined, fair and appropriate. In fact, regulators should take a victory lap because Lehman, Bear Stearns, AIG and multiple other failures effectively could not happen today because of the new rules and requirements. We entered the crisis with the capital, liquidity, earnings, diversity of businesses, people and a risk management culture that enabled us to avoid most — but, unfortunately, not all — of the issues exposed by the crisis. These strengths also helped us to weather the economic crisis and to continue to play a central role in supporting our clients and our communities and rebuilding the U.S. economy. Counter to what most people think, many of the extreme actions we took were not done to make a profit: They were done to support our country and the financial system. What stood out most was our character and capabilities — which make JPMorgan Chase what it is today. When the global financial crisis unfolded in 2008, the people of JPMorgan Chase understood the vital role our firm needed to play and felt a deep responsibility to those who rely on us. 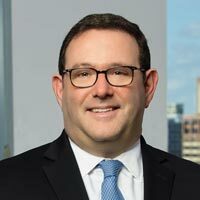 It was this sense of responsibility that enabled us to move beyond the challenges we were facing at that time and maintain a focus on what really matters: Taking care of our clients, helping the communities in which we operate — all while under extreme pressure from both the markets and the body politic — and protecting our company. How we managed through the crisis is a testimony to the collective strength of character and commitment of our people. During those chaotic days throughout the crisis and its aftermath, many of our people had to work around the clock, seven days a week, for months on end. And they did it without complaint. The biggest lesson of the crisis: The quality, character, culture and capabilities of your partners are paramount. Looking back and then looking around at the company we are today, I am filled with awe and admiration. 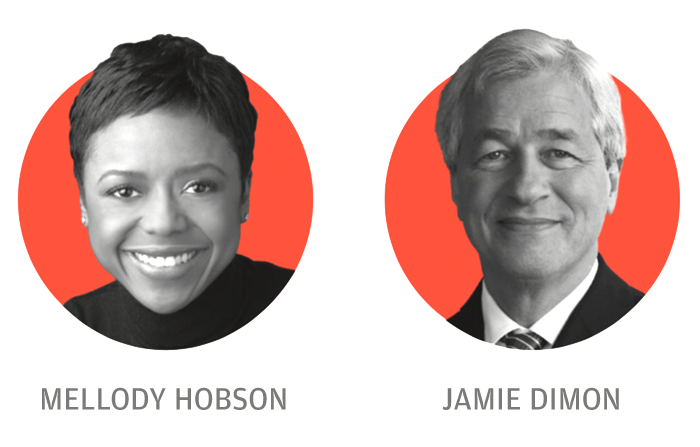 For JPMorgan Chase, these past 10 years have been part of a challenging, yet defining, decade. 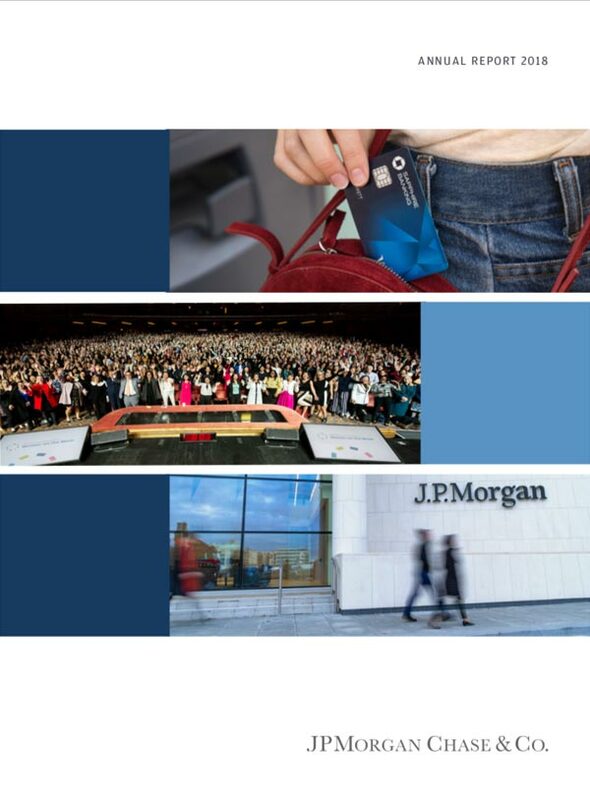 Today, JPMorgan Chase is among the leaders in most of our businesses. I can’t tell you how proud I am to be your partner and to witness your extraordinary performance. I can’t thank our current and former employees enough for helping us get through those turbulent times and for the company we have become. As I mentioned in my shareholder letter in 2016, it is instructive to look at what would happen if Lehman were to fail in today’s regulatory regime. First of all, it is highly unlikely the firm would fail because under today’s capital rules, Lehman’s equity capital would be approximately $45 billion instead of $23 billion, which it was in 2007. In addition, Lehman would have far stronger liquidity and “bail-inable” debt. And finally, the firm would be forced to raise capital much earlier in the process. Lehman simply would not have failed. However, if by the remotest, shooting-star possibility Lehman failed anyway, regulators would now have the legal authority to put the firm in receivership (they did not have that ability back in 2007-2008). At the moment of failure, unsecured debt of approximately $120 billion would be immediately converted to equity. “New Lehman” would be the best-capitalized bank in the world. In addition, derivatives contracts would not be triggered, and cash would continue to move through the pipes of the financial system. Legislators and regulators should be applauded for what they have done to solve the Too Big to Fail problem, though I should point out that this was accomplished by putting some basic rules in place — not the thousands of other rules layered atop them. 2. We have to remind ourselves that responsible banking is good and safe banking. One of the critical responsibilities of banks is to take a rigorous and disciplined approach to allocating capital in the financial system – whether they do it directly through loans or through public and private capital markets. Banks need to do this knowing there will be recessions and that they should plan to support their clients through their most difficult times. We did exactly that throughout the 2008 crisis (again, see message to employees above). While many people focus on market making, which of course entails risk (we buy and sell about $2 trillion a day of various securities around the world), this risk taking is carefully monitored and largely hedged. To put risk taking and market making a little bit in perspective – in the last five years, we have lost money trading on only 11 days, and the loss was usually small and never more than about two times the average normal trading day revenue. Overall, loans are still the biggest risk that banks take. Our loan losses last year were $5 billion, and in the worst year of the Great Recession, our loan losses were approximately $24 billion. Responsible banks cannot always give customers what they want. Making bad and unworthy loans ultimately is bad for both the bank and the customer. Being a responsible bank means you can’t always give customers what they want, and, therefore, it is unlikely that all of your customers are going to like you. We are fundamentally not in the same position as most businesses. If a customer has the money, most businesses will sell their goods and services to that customer. Banks can’t do that. Sometimes we have to say no or enforce rules that may be unpopular. I have always believed that this necessary discipline with customers is one of the reasons that, historically, banks have not been popular. Banks are under constant pressure, including political pressure, to make loans (remember subprime mortgages?) even when they should not. But when and if something goes wrong with loans, even when proper and responsible underwriting is done, banks will come under a lot of legal, regulatory and political scrutiny and should expect to be blamed for potentially causing the problem. These conflicting pressures – to make or not make loans – will always exist and need to be properly navigated by a good bank. Client selection is one of the most important things we do. If one bank builds a book of business with clients of high character and another bank builds its business with clients of low character (who are usually pushing sound banking practices to the limit), it’s clear which bank will succeed over time. Therefore, turning down clients, which can sometimes be hard to do, is often the only way to be a responsible bank. Risk taking is a detailed, analytical process and includes extensive risk mitigation. Shareholders may be surprised to find out that, fundamentally, we are not a risk-taking but rather a risk-mitigating institution. Risk mitigation is not guessing – it is a thoughtful, detailed analytical process that leads to measured decision making. Participants in our risk meetings can attest that while we are adamant about serving clients, we are also fanatic about understanding and mitigating some of the associated risks. So, in addition to proper client selection, risks are mitigated through simplification, diversification, hedging, syndication, covenants, hard limits, continuous monitoring and fast reaction to problems. We deeply analyze everything so we can shoulder appropriate risk for and with our clients. We are their financial partner. A recent example in the oil and gas sector shows how we balance risk while serving clients in tough times. From 2014 to 2016, oil prices collapsed from a high of $108 per barrel to a low of $26 per barrel. We were carrying approximately 250 loans to smaller oil and gas companies (mostly based in Houston), referred to in the industry as “reserve-based loans,” or RBLs. The proven oil and gas reserves in the ground served as the collateral for these loans, as reviewed by both J.P. Morgan’s petroleum engineers and third-party engineering consultants. We had $3 billion in outstanding loans under the RBL structure (and more to the oil industry as a whole). While we made these loans conservatively, we knew that low oil prices at the bottom of the cycle put us at great risk of loan losses – maybe even as high as $500 million. Our view was that we were going to work with these borrowers; i.e., extend the loans and try to help the companies survive this rough patch. (Of course, we put up additional loan loss reserves to account for possible losses.) At one point, surprisingly, some regulators made it clear that they did not want banks to extend these loans because they were too risky. But we thought it was important, even at the risk of losing hundreds of millions of dollars (something that we were positioned to be able to do), to help our clients get through this tough time rather than desert them when they needed us most. And sticking with our clients is exactly what we did. We thought regulators were overreacting – and, indeed, our losses, ultimately, were miniscule. Because of these actions, we are still welcome in Houston. 3. We believe in good regulation — both to help America grow and improve financial stability. I want to be very clear that we do not advocate for the repeal of Dodd-Frank. We believe that the strength and resilience of the U.S. financial system have benefited from the law. Ten years out from the crisis, however, it is appropriate for policymakers to examine areas of our regulatory framework that are excessive, overlapping, inefficient or duplicative. At the same time, they should identify areas where banks can promote economic growth without impacting the very important progress we have made on safety and soundness. In fact, a stronger economy, by definition, is a safer economy. Our goal should be to achieve a rational, calibrated approach to regulation that strikes the right balance. This should be an ongoing and rigorous process that does not require any significant piece of legislation and should not be politicized. Carefully monitor the growing shadow bank system. While we do not believe that the rise in non-banks and shadow banking has reached the point of systemic risk, the growth in non-bank mortgage lending, student lending, leveraged lending and some consumer lending is accelerating and needs to be assiduously monitored. (We do this monitoring regularly as part of our own business.) Growth in shadow banking has been possible because rules and regulations imposed upon banks are not necessarily imposed upon these non-bank lenders, which exemplifies the risk of not having the new rules properly calibrated. An additional risk is that many of these non-bank lenders will not be able to continue lending in difficult economic times – their borrowers will become stranded. Banks traditionally try to continue lending to their customers in tough times. The country desperately needs mortgage reform – it would add to America’s economic growth. Reducing onerous and unnecessary origination and servicing requirements (there are 3,000 federal and state requirements today) and opening up the securitization markets for safe loans would dramatically improve the cost and availability of mortgages to consumers – particularly the young, the self-employed and those with prior defaults. And these would not be subprime mortgages but mortgages that we should be making. By taking this step, our economists believe that homeownership and economic growth would increase by up to 0.2% a year. In the early 2000s, bad mortgage laws helped create the Great Recession of 2008. Today, bad mortgage rules are hindering the healthy growth of the U.S. economy. Because there are so many regulators involved in crafting the new rules, coupled with political intervention that isn’t always helpful, it is hard to achieve the much-needed mortgage reform. This has become a critical issue and one reason why banks have been moving away from significant parts of the mortgage business. That business, in particular, highlights one of the flaws of our complicated capital allocation regime. The best way to risk manage a bank is to use risk weights that are actually based on risk. However, since most banks are also constrained by standardized capital (a capital measure that does not risk-adjust for the lower risk of having a properly underwritten prime mortgage), owning mortgages becomes hugely unprofitable. Because of these significant issues, we are intensely reviewing our role in originating, servicing and holding mortgages. The odds are increasing that we will need to materially change our mortgage strategy going forward. We also need to get the recalibration of other regulatory requirements right, particularly around operational risk capital, the Fed’s Comprehensive Capital Analysis and Review (CCAR) stress test and the additional allocation of capital to global systemically important banks (GSIB). If we don’t do so, certain products and services will continue to be pushed outside the banking system (where they are, fundamentally, not regulated), distorting markets and raising the cost of credit for clients. Operational risk capital. 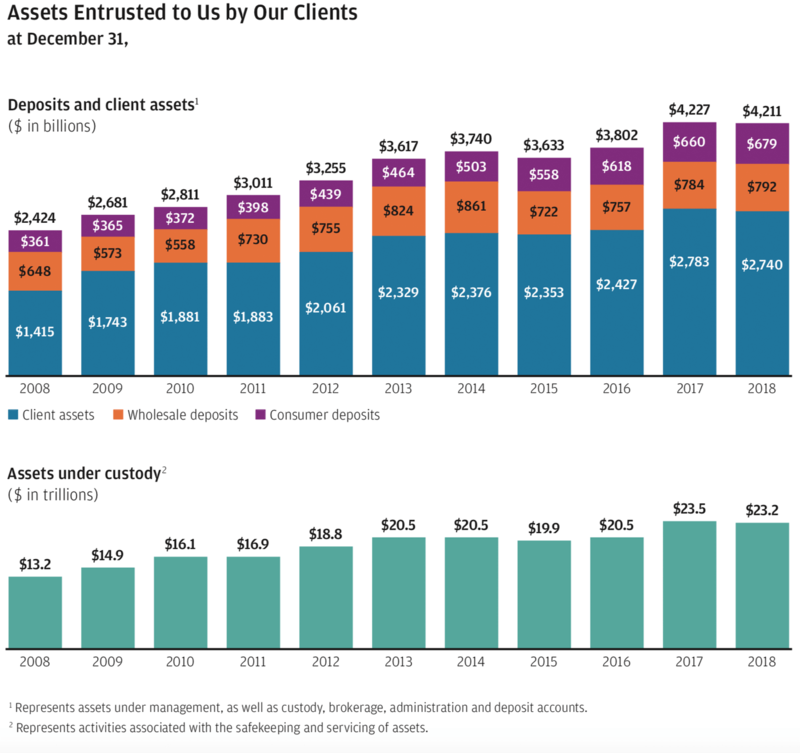 We now hold nearly $400 billion of operational risk-weighted assets, which means we hold more than $40 billion of equity for assets that don’t exist. This was a new calculation added after the crisis to recognize that banks also bear serious operational risk (stemming from lawsuits, processing errors and other issues). I agree that all banks bear operational risk, yet this is also true for all companies. Most companies, including banks, have earnings to pay for operational risk. And the calculation that gets us to $400 billion is questionable and so complex that I am not going to explain it here. Finally, most of our operational risk assets stem from Bear Stearns and WaMu subprime mortgage products that we don’t even offer anymore. Tying up capital in perpetuity – looking for shadows on the wall – is probably not the best idea for fostering growth in America. Comprehensive Capital Analysis Review. I deeply believe in stress testing, but I do have issues with CCAR. First, it consists of only a single test (there are many things that can go wrong that should be stress tested) – which is unlikely to prepare anyone (banks or regulators) adequately. There is an arbitrariness to a single test. Moreover, I don’t think CCAR accurately represents what a loss would look like in the nine quarters after a Lehman-type event (remember that in the nine quarters following the actual Lehman collapse, JPMorgan Chase earned $30 billion). One of the refrains that we hear about CCAR results is they show that most banks at the worst part of the stress cycle can barely cover their required capital. This is fundamentally inaccurate. The CCAR test can give this false impression because it requires banks to do unnatural things (such as continuing all stock buybacks – even when it is completely obvious that banks wouldn’t or couldn’t do this). As a result, we don’t rely solely on CCAR, and we stress test hundreds of scenarios a month, preparing ourselves for circumstances far worse than CCAR stress. While CCAR losses may exceed what banks are likely to experience, they do appropriately include benefits that banks receive from being diversified and from having healthy profit margins. And CCAR is an effective built-in countercyclical buffer because its whole purpose is to ensure adequate capital at the worst point of a major stress event. Capital requirements for GSIBs, however, are completely different. 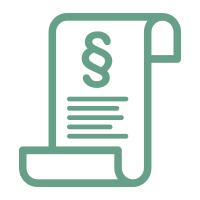 GSIB capital requirements. My biggest issue is with GSIB capital requirements, and since they may be added to the CCAR stress test, they become even more important. 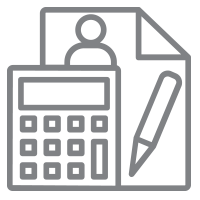 Most of the factors used in GSIB requirements are not risk-adjusted – and many of the calculations have no fundamental underpinning or logical justification. Their methodology irrationally multiplies certain factors over and over, and many of the facts are simply unjustified on any basis. For example, one of the risks is called “substitutability,” which is supposed to measure the risk that we won’t be able to replace certain services of a large bank that fails or retrenches during a crisis. The specific factors used to calculate this risk are market share of equity and debt underwriting and market making. But when Lehman failed, no one had a problem in replacing any of these activities. For another example, American regulators simply doubled thresholds for American banks (versus international competition) and have never adjusted them, as they were supposed to do, for economic growth, for other new regulations like total loss absorbing capacity and liquidity or for the fact that GSIB banks have become a smaller part of the financial system. Now regulators are talking about adding GSIB requirements to CCAR, which is only logical if the GSIB charge itself makes sense in the first place. If GSIB regulation is to become this important, it needs thorough justification. Later in this letter I discuss some possible adverse consequences to the U.S. financial system because of the interplay between these factors in a downturn. 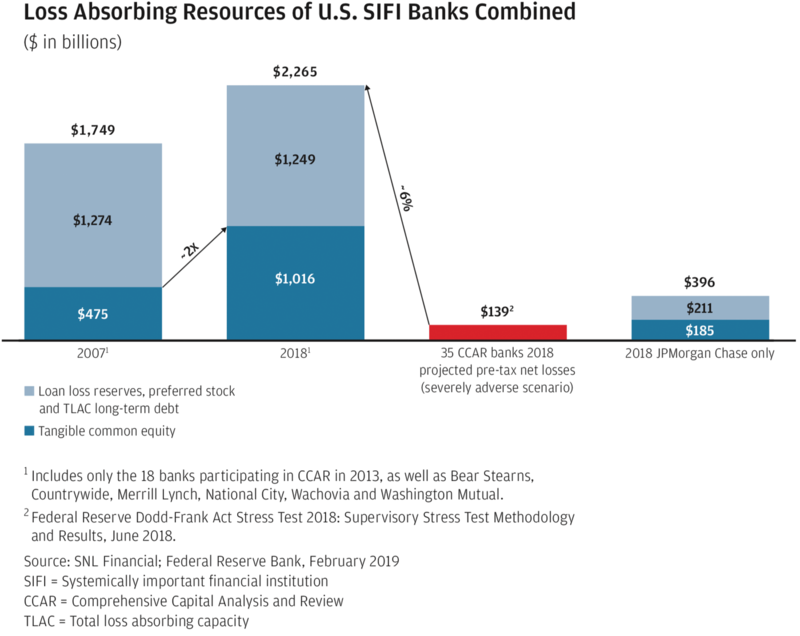 One comment that we continue to hear is that U.S. banks are now doing quite well despite evidence that GSIB requirements are tougher on U.S. banks than on foreign banks. But that outperformance is not ordained from above and may not always be the case. We should calculate data the right way, and U.S. banks, their employees, shareholders and the communities they serve should not be put at a permanent disadvantage. Proper calibration of financial regulation can enhance the growth and resiliency of the U.S. economy, which actually reduces systemic risk and helps banks safely serve more clients. 4. We believe stock buybacks are an essential part of proper capital allocation but secondary to long-term investing. I have already noted that stock buybacks, though sometimes misused, are an important tool that businesses must have to reallocate excess capital. To reiterate, this should be done only after proper investments for the future have been considered. A recent complaint is that companies, partially due to tax reform, have used their excess capital to buy back more stock instead of investing in their business. While this is true, you should keep in mind three things. First, as stock buybacks increased in 2018, so did corporate capital expenditures and research and development (R&D). In fact, contrary to popular belief, capital expenditures as a percentage of GDP are higher today than in the “good old days” of the 1950s and 1960s. Second, companies tend to buy back stock when they don’t see a good use for capital in the next year or two. We believe that as companies adjust to the new higher cash flows, they will begin to reinvest more of that money in the United States. The benefit of tax reform is the long-term (multi-year) cumulative effect of capital retained and reinvested in the United States. And third, the capital that was used to buy back stock did not disappear – it was given to shareholders who then put it to a better and higher use of their own choosing. Here is one concluding comment on long-term investing: Many investors legitimately demand that companies think long term and explain their strategies and policies. Meanwhile, these same investors, who demand long-term thinking from companies, often invest in funds that are paid a lot of money for how a stock performs in one year. I hope these investors appreciate the disconnect and hope they will consider the pressures for short-term performance they may have helped to create. 5. On the importance of the cloud and artificial intelligence, we are all in. The power of the cloud is real. The cloud gives us the ability to achieve rapid scale and elasticity of computing power exponentially beyond our own capacity. This will be especially relevant as we scale up our artificial intelligence efforts. The cloud platform is agile and flexible. It offers access to data sets, advanced analytics and machine learning capabilities beyond our own. It increases developers’ effectiveness by multiples – you can almost “click and drop” new elements into existing programs as opposed to writing extensive new code. For instance, adding databases and/or machine learning to an application can be done almost instantaneously. And certain tasks, such as testing code and provisioning compute power, are automated. The cloud provides a software development experience that is frictionless and allows our engineers to prototype quickly and learn fast, as well as increase the speed of delivering new capabilities to our customers and clients. It is important to note that the cloud has matured to the point where it can meet the high expectations that are set by large enterprises that have fairly intense demands around security, audit procedures, access to systems, cyber security and business resiliency. We will be rapidly “refactoring” most of our applications to take full advantage of cloud computing. We then can decide whether it is more advantageous to run our applications on the external cloud or the internal cloud (the internal cloud will have many of the benefits of the external cloud’s scalable and efficient platforms). One final but key issue: Agile platforms and cloud capabilities not only allow you to do things much faster but also enable you to organize teams differently. You can create smaller teams of five to 20 people who can be continually reimagining, reinventing and rolling out new products and services in a few days instead of months. The power of artificial intelligence and machine learning is real. In the Corporate & Investment Bank, DeepX leverages machine learning to assist our equities algorithms globally to execute transactions across 1,300 stocks a day, and this total is rising as we roll out DeepX to new countries. Across our company, we will be deploying virtual assistants (robots driven by artificial intelligence) to handle tasks such as maintaining internal help desks, tracking down errors and routing inquiries. In Consumer Marketing, we are better able to customize insights and offerings for individual customers, based on, for example, their ability to save or invest, their travel preferences or the availability of discounts on brands they like. Technological solutions help us do better underwriting, expediting the mortgage or automobile loan approval process, letting the customer accept the loan in a couple of clicks and then start shopping for a home or car. In our Consumer Operations, we are using AI and machine learning techniques for ATM cash management to optimize cash in devices, reduce the cost of reloads and schedule ATM maintenance. And our initial results from machine learning fraud applications are expected to drive approximately $150 million of annual benefits and countless efficiencies. For example, machine learning is helping to deliver a better customer experience while also prioritizing safety at the point of sale, where fraud losses have been reduced significantly, with automated decisions on transactions made in milliseconds. We are now able to approve 1 million additional good customers (who would have been declined for potential fraud) and also decline approximately 1 million additional fraudsters (who would have been approved). Machine learning will also curtail check fraud losses by analyzing signatures, payee names and check features in real time. Over time, AI will also dramatically improve Anti-Money Laundering/Bank Secrecy Act protocols and processes as well as other complex compliance requirements. We will try to retrain and redeploy our workforce as AI reduces certain types of jobs. We are evaluating all of our jobs to determine which are most susceptible to being lost through AI. We will plan ahead so we can retrain or deploy our employees both for other roles inside the company and, if necessary, outside the company. The combined power of virtually unlimited computing strength, AI applied to almost anything and the ability to use vast sets of data and rapidly change applications is extraordinary – we have only begun to take advantage of the opportunities for the company and for our customers. 6. We remain devoted and diligent to protect privacy and stay cyber safe — we will do what it takes. The threat of cyber security may very well be the biggest threat to the U.S. financial system. I have written in previous letters about the enormous effort and resources we dedicate to protect ourselves and our clients – we spend nearly $600 million a year on these efforts and have more than 3,000 employees deployed to this mission in some way. Indirectly, we also spend a lot of time and effort trying to protect our company in different ways as part of the ordinary course of running the business. But the financial system is interconnected, and adversaries are smart and relentless – so we must continue to be vigilant. The good news is that the industry (plus many other industries), along with the full power of the federal government, is increasingly being mobilized to combat this threat. The issues around privacy are real. 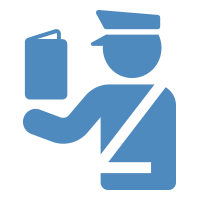 We have spoken frequently in the past about the importance of safeguarding the privacy of our customers. We already do this extensively, and, in fact, we are inventing new products to make it easier for our customers to understand where we send their data (with their permission), as well as how to change or restrict what we do with that data. New laws in Europe stipulate that consumers should be able to see what data companies have on file about them and to correct or delete this information if they choose. These are the right principles, but they are very complex to execute. It is imperative that the U.S. government thoughtfully design policies to protect its consumers and that these policies be national versus state-specific. Different state laws around privacy rules would create a virtually impossible legal, compliance and regulatory-monitoring situation. But maybe the most crucial privacy issue of all relates to protecting our democracy. Our First Amendment rights do not extend to foreign governments, entities or individuals. The openness of the internet means that trolls, foreign governments and others are aggressively using social media and other platforms to confuse and distort information. They should not be allowed to secretly or dishonestly advertise or even promote ideas on media and social networks. We believe there are ways to address this, and we will be talking more about this issue in the future. 7. We know there are risks on the horizon that will eventually demand our attention. In spite of all the uncertainty, the U.S. economy continues to grow in 2019, albeit more slowly than in 2018. Employment and wages are going up, inflation is moderate, financial markets are healthy, and consumer and business confidence remains strong, although down from all-time highs. The consumer balance sheet and credit are in rather good shape, and housing, though not particularly strong, is in short supply in many U.S. cities, which should eventually be a tailwind. Before I review some of the serious and possibly increasing risks that we may confront in the years ahead, I do want to review what happened in the fourth quarter of 2018. The fourth quarter of 2018 might be a harbinger of things to come. Going into the final months of last year, optimism about the global economy prevailed, and this was reflected in the stock and bond markets. But in the fourth quarter, growth slowed in Germany; Italy repudiated European Union rules; Brexit uncertainty remained; and fear spiked around America’s trade issues with China. Among other geopolitical tensions, the U.S. government shutdown began. In addition, more questions arose about interest rate increases in the United States and the effect of the reversal of unprecedented quantitative easing, particularly in this country. These issues, which reduced growth forecasts and increased uncertainty, should legitimately cause stock prices to drop and bond spreads to increase. However, stock markets fell 20%, investment grade bond spreads gapped out by 36% and certain markets (like initial public offerings and high yield) virtually closed down. Even at the time, these large swings seemed to be an overreaction, but they highlight two critical issues. One, which we never forget, is that investor sentiment can veer widely from optimism to pessimism based on little fundamental change. And second, for the fourth or fifth time in this recovery, there were excessive moves in the market with rapidly increasing volatility accompanied by steep drops in liquidity. Market reactions do not always accurately reflect the real economy, and, therefore, policymakers and even companies should not overreact to them. But they do reflect market participant views of changing probabilities and possibilities of economic outcomes. Thus, policymakers (and banks), particularly the Fed, must necessarily (because they need to think forward) take an assessment of these issues into account. With this backdrop, I will discuss some of the serious issues on people’s minds (with more on liquidity later). There are legitimate concerns around China’s economy (in addition to trade), but they are manageable. To fully understand China, you have to do a fair assessment of all of its strengths and weaknesses. Over the last 40 years, China has done a highly effective job of getting itself to this point of economic development, but in the next 40 years, the country will have to confront serious issues. The Chinese lack enough food, water and energy; corruption continues to be a problem; state-owned enterprises are often inefficient; corporate and government debt levels are growing rapidly; financial markets lack depth, transparency and adequate rule of law; and Asia is a very complex part of the world geopolitically speaking. Just as important, not enough people participate in the nation’s political system. Chinese leadership is well aware of these issues and talks about many of them quite openly. I say none of this to be negative about China (indeed, I have enormous respect for what the Chinese have accomplished in the economic realm) but just to give a balanced view. And in spite of these difficulties, we believe that China is well on its way to becoming a fully developed nation, though the future will probably entail more uncertainty and moments of slower growth (like the rest of us) than in the past. Disruption of trade is another risk for China. The United States’ trade issues with China are substantial and real. They include the theft or forced transfer of intellectual property; lack of bilateral investment rights, giving ownership or control of investments; onerous non-tariff barriers; unfair subsidies or benefits for state-owned enterprises; and the lack of rapid enforcement of any disagreements. The U.S. position is supported, though in an uncoordinated way, by our Japanese and European allies. We should only expect China to do what is in its own self-interest, but we believe that it should and will agree to some of the United States’ trade demands because, ultimately, the changes will create a stronger Chinese economy. We should also point out that over the last 30 years, the Chinese have been on a high-speed path that includes increasing transparency and economic reform, and while the momentum slows down periodically, they have continued relentlessly on that path. We believe the odds are high that a fair trade deal will eventually be worked out – but if not, there could be serious repercussions. China can deal with many serious situations because, unlike developed democratic nations, it can both macromanage and micromanage its economy and move very fast. Government officials can pull, in a coordinated way, fiscal, monetary and industrial policy levers to maintain the growth and employment they want, and they have the control and wherewithal to do it. That being said, the American public should understand that China does not have a straight road to becoming the dominant economic power. The nation simply has too much to overcome in the foreseeable future. If China and the United States can maintain a healthy strategic and economic relationship (and that should be our goal), it could greatly benefit both countries – as well as the rest of the world. Debt levels are increasing around the world — although this debt is mitigated because much of it is sovereign debt, which is different from corporate and consumer debt. If countries essentially owe debt to themselves, not to creditors outside their country, they can generally manage their debt (America’s total debt to GDP is just about 80%, while Japan’s is approaching 200%). Such debt is not necessarily a good thing because it can be politically destabilizing and overcomplicate policymaking; however, it is generally manageable because if a nation owes money to itself, it is essentially reallocating its income across various interest groups within the country. If the country can continue to grow, it can still create more income for its citizens. America’s debt level is rapidly increasing but is not at the danger level. While America does owe in excess of $6 trillion (essentially 40% of its publicly held debt) to creditors outside the country, U.S. companies and investors hold more than $25 trillion in total claims on foreigners, including more than $12 trillion of foreign portfolio holdings, and the U.S. economy is worth more than $100 trillion. So we earn more on foreign assets than we pay to foreign creditors. This is not a major issue. However, our country’s debt level over the next 30 years will start to increase exponentially, and at a certain point, this could cause concern in global capital markets. We have time to address this problem, but we should start to deal with the issue well before it becomes a crisis. People also point to emerging market debt – both corporate and sovereign – as a potential issue, but the emerging markets, both countries and companies, are much bigger and stronger than they were in the past. They have more foreign exchange reserves and generally more effective risk management of currency and interest rate mismatches. Leveraged lending is increasing, particularly through shadow banks. Total leveraged lending in the United States is approximately $2.3 trillion. About 25% of the loans are owned by banks, the majority in more senior positions, and the remaining 75% are owned by shadow banks or non-banks. Deconstructing that number a bit, about $1.8 trillion is in U.S. institutional leverage term loans – approximately 30% of which are owned by banks. We estimate that approximately $500 billion of direct loans are owned exclusively by non-banks. While leveraged lending is a growing issue and one that we are monitoring, we don’t think this is yet of the size or quality to cause systemic issues in the financial system. This does not mean it won’t create some issues. When things get bad, invariably prices drop dramatically, certain types of high-yield debt cannot be refinanced, etc. – but at this level, it is still a manageable issue. There are growing geopolitical tensions — with less certainty around American global leadership. Geopolitical tensions are always there – just reading the newspaper in any week in any year since World War II would make anyone pretty worried. But it does appear that geopolitical tensions are growing. Let me mention a few: Russian aggression, Middle East conflicts, Venezuela, North Korea, Iran, Turkey, Brexit and European politics generally. It’s always difficult to understand the effect of geopolitical uncertainty. But it is now heightened due to uncertainty around how the United States intends to exercise global leadership. This uncertainty may very well be the biggest new unknown factor affecting critical geopolitical and economic issues. The chance of bad policy errors is increasing. In this risk section and in the next section on public policy, I feel compelled to emphasize an obvious point: Bad public policy is a major risk. It could be central banks and monetary policy, trade snafus or simply deep political gridlock in an increasingly complex world – but bad policymaking is definitely an increasing risk for the global economy. The confusion and uncertainty around liquidity are causing some legitimate concerns. Several times in the last few years, including in the fourth quarter of 2018, markets exhibited rapid losses of liquidity, although fortunately, and importantly, the markets recovered in all cases – but that was in the context of a good environment. The ongoing debate around liquidity and short-term losses of liquidity in the market is an important one. We consider it in two ways: traditional liquidity and macro liquidity. Traditional liquidity. I call it micro liquidity here, and it generally refers to the width of the bid-ask spread, as well as the size and speed with which securities can be bought or sold without dramatically affecting their price. There is no question that some micro liquidity is more constrained than in the past due to bank capital, liquidity and Volcker Rule requirements. In addition, high-frequency traders generally create some intraday liquidity (within a day), though even this is unreliable in a downturn. Because they rarely take positions interday (day to day), traders do not create real liquidity, but my view is that they increase the volatility of liquidity over time. There is no question that rules and regulations also cause unwanted and unnecessary distortions in money market vehicles, such as repos and swaps, particularly at quarter-end. If you look at liquidity – from before the financial crisis to today – in fairly liquid markets like Treasuries, swaps and equities, there is a noticeable difference. In good markets, liquidity is essentially high and is almost at the same level today as it was before the crisis. But when markets became volatile in the last several years, liquidity dropped much further and faster than it did before the crisis. It is important to remember that this happened in good times. Therefore, it is reasonable to expect that what we have been experiencing is now the new normal of liquidity – and that we should be prepared for it to be even worse in truly difficult times. Macro liquidity. This describes a broader view of financial conditions. For example, is it easy to borrow and lend? Are banks able to increase their lending? Is the cost of borrowing going up? Is the Fed adding or reducing liquidity in the system (essentially by buying or selling Treasuries)? There is no doubt that new regulations, particularly bank liquidity requirements, dramatically reduce the ability of the Fed to increase bank lending today by shoring up bank reserves. In the old days, the central bank could effectively create excess reserves by buying Treasuries. These excess reserves were lendable by the bank. Today, such reserves are often not lendable due to new liquidity rules. So bank lending as a function of deposits is, in effect, permanently reduced. The notion of “money velocity” and in fact the transmission of monetary policy are, therefore, different from the past, and it is hard to calculate the full effect of all these changes. It is extremely difficult for us, and probably even for the Fed, to know when and at what level the removal of cash (liquidity) from the system starts to significantly affect macro or micro liquidity. We will, however, probably know it when we see it. There may be too much certainty that growth will be slow and inflation subdued. There is still global growth, and employment and wages continue to go up. However, this has been a very slow recovery, and it is possible that the “normal” increase of inflation late in the cycle, due to wage demands and limited supply, can still happen. We don’t see it today, but I would not rule it out. In addition, 10-year bond spreads have been suppressed in some way by the extreme quantitative easing around the world. If that ever reverses in a material way, how could it not have an effect on the 10-year bond? Finally, I would not look at the yield curve and its potential inversion as giving the same signals as in the past. There has simply been too much interference in the global markets by central banks and regulators to understand its full effect on the yield curve. Expect banks to be far more constrained going into the next real downturn. Today is nothing like 2008. There are fewer leveraged financial assets in the system now than a decade ago. In 2008, huge losses in the mortgage market forced consumers and companies to sell assets acquired by borrowing. Fundamentally, market panic ensued. Now there is far less borrowing against assets, and it is unlikely that there will be a lot of forced selling as a result. However, keep in mind that it is still possible for investors to sell lots of assets if any form of market panic takes place. When the next real downturn begins, banks will be constrained – both psychologically and by new regulations – from lending freely into the marketplace, as many of us did in 2008 and 2009. New regulations mean that banks will have to maintain more liquidity going into a downturn, be prepared for the impacts of even tougher stress tests and hold more capital because capital requirements are even more procyclical than in the past. Effectively, some new rules will force capital to the sidelines just when it might be needed most by clients and the markets. For example, in the next financial crisis, JPMorgan Chase will simply be unable to take some of the actions we took in 2008, as described in the sidebar above. The Fed is still quite powerful and retains numerous tools to deal with many of the issues described above. There is excessive focus on what the Fed says and does in the short term. The Fed appropriately, and by necessity, needs to be data dependent – how could it be otherwise? And, of course, while proper policy requires Fed officials to constantly think about the future (though it does not require them to make specific forecasts public), they can’t know what the future holds with any certainty. But they are deeply knowledgeable, flexible and appropriately willing to change their minds. And, counter to what you often hear today, they retain a large number of tools at their disposal. They can change short-term rates at will and, in fact, can effect change on longer term rates if they want. With a few simple words, they can change the future expectations of the interest rate curve. They can buy or finance an extraordinary amount of assets, and they can revise regulations, if necessary, to improve liquidity or enhance lending. They can often, simply by asking, get banks to take certain actions that they want. It is a mistake to think that they don’t have significant tools at their disposal. Of course, we hyper-focus on today’s problems, and they often overshadow the progress we are making across the globe. We should not overlook the positive signs. In addition to the strong U.S. economy, the world is still growing, trade issues may be properly resolved and Brazil, among others, has turned the corner economically. If a downturn starts and leads to darker scenarios, we will be prepared, and we also believe the U.S. government will eventually respond adequately. 8. We are prepared for — though we are not predicting — a recession. The key point here is that a fairly healthy U.S. economy will be confronting a wide variety of issues in 2020 and 2021. It’s hard to look at all the issues facing the world and not think that the range of possible outcomes is broader and that the odds of bad outcomes might be increasing. And certain factors, like confidence, which we know is important, can be easily damaged by bad policy, unexpected events or even high market volatility. The next recession may not resemble prior recessions. Next time, the cause may be just the cumulative effect of negative factors – the proverbial last straw on the camel’s back. We are always prepared to deal with the next recession. We generally do not spend a lot of time guessing about when the next recession will be – we manage our business knowing that there will be cycles. First and foremost, we will continue to serve our clients. From the prior parts of this letter, you can see that we continued to make responsible loans to our clients during and after the Great Recession when they needed us most – and we will do that again. We will not stop investing in our future, investing in technology or building new branches. We will continue to make markets for our clients. We will not overreact to the credit cycle. We will mitigate risk. We may reduce risk by taking on fewer new clients or by syndicating or hedging risk. And we may reduce risk by managing our portfolio of securities and loans unrelated to clients. We will exercise more of our muscle in terms of managing expenses, monitoring headcount and creating more efficiencies. We will have special credit teams, created in advance, to deal with any problematic credits. Finally, we will be seeking out new ways to grow and compete. Our experience is that recessions do create opportunities for healthy companies to enhance their franchises generally by serving clients where other companies cannot. There are many critical issues roiling the United States and other countries around the world today – just to name a few: capitalism versus other economic systems, the role of business in our society, how the United States intends to exercise global leadership, income inequality, equal opportunity, access to healthcare, immigration and diversity. Many people have lost faith in government’s ability to solve these and other problems. In fact, almost all institutions – governments, schools, unions, media and businesses – have lost credibility in the eyes of the public. In the meantime, many of these problems have been around for a long time and are not aging well. Politics is increasingly divisive, and a number of policies are not working. This state of affairs is unlikely to get better without thorough diagnosis, thoughtful policy solutions and a commitment to a common purpose. In this section, I attempt to analyze and offer some views on what has caused this situation and then suggest some solutions. Neither the diagnoses nor the proposed cures are purely my own. These issues have been studied intensively by many people with deep knowledge. And given the space and other constraints of this letter, I may be about to violate the Einstein maxim, which I love: “Everything should be made as simple as possible, but not simpler.” One of the main points I am trying to make is that when you step back and take a comprehensive multi-year view, looking at the situation in its totality, it is the cumulative effect of many of our policies that has created many of our problems. And whatever the solutions, I think they are unlikely to be achieved by government alone – civil society and business need to be part of the equation. To start, we must understand our problems. 1. The American Dream is alive — but fraying for many. Before I talk about our problems, I think it’s important to put any negatives in context, so first a paean to our nation. America is still the most prosperous nation the world has ever seen. We are blessed with the natural gifts of land; all the food, water and energy we need; the Atlantic and Pacific oceans as natural borders; and wonderful neighbors in Canada and Mexico. And we are blessed with the extraordinary gifts from our Founding Fathers, which are still unequaled: freedom of speech, freedom of religion, freedom of enterprise, and the promise of equality and opportunity. These gifts have led to the most dynamic economy the world has ever seen, nurturing vibrant businesses large and small, exceptional universities, and a welcoming environment for innovation, science and technology. America was an idea borne on principles, not based upon historical relationships and tribal politics. It has and will continue to be a beacon of hope for the world and a magnet for the world’s best and brightest. Of course, America has always had its flaws. Some of its more recent issues center on income inequality, stagnant wages, lack of equal opportunity, immigration and lack of access to healthcare. I make it a practice when hearing complaints to strive to understand where people might be right or partially right instead of rejecting or accepting their views reflexively. Middle class incomes have been stagnant for years. Income inequality has gotten worse. Forty percent of American workers earn less than $15 an hour, and about 5% of full-time American workers earn the minimum wage or less, which is certainly not a living wage. In addition, 40% of Americans don’t have $400 to deal with unexpected expenses, such as medical bills or car repairs. More than 28 million Americans don’t have medical insurance at all. And, surprisingly, 25% of those eligible for various types of federal assistance programs don’t get any help. No one can claim that the promise of equal opportunity is being offered to all Americans through our education systems, nor are those who have run afoul of our justice system getting the second chance that many of them deserve. And we have been debating immigration reform for 30 years. Simply put, the social needs of far too many of our citizens are not being met. Over the last 10 years, the U.S. economy has grown cumulatively about 20%. While this may sound impressive, it must be put into context: After a sharp downturn, economic growth would have been 40% over 10 years in a normal recovery. Twenty percent more growth would have added $4 trillion to GDP, which certainly would have driven wages higher and given us the wherewithal to broadly build a better country. Key questions that keep arising – and remain unanswered are: Why have productivity and economic growth been so anemic? And why have income inequality and so many other things gotten worse? Included among the common explanations is that “secular stagnation” is the new normal. I’ve also heard blame placed on institutional greed and “short-termism,” bad corporate governance, job displacement from new technologies, immigration or trade and a lack of new productivity-enhancing technology. Another common refrain is that capitalism and free enterprise have failed. As you’ll see, I think some of these arguments miss the mark. 2. We must have a proper diagnosis of our problems — the issues are real and serious — if we want to have the proper prescription that leads to workable solutions. Slogans are not policy, and, though simple and sometimes virtuous-sounding, they often lead to policies that fail. Well-intentioned but poorly designed policies generally have large and unintended negative consequences. Policy should always be extremely well-designed. In my view, too often we don’t perform the deep analysis required to fully understand our problems. One of the reasons is that we often have too short term an orientation; i.e., looking at how things have changed year-over-year or even quarter-over-quarter. We frequently fail to look at trends over a multi-year period or over decades – we miss the forest for the trees. It’s also important to point out that many economic models that are used to design policy have a hard time incorporating or accounting for the effect of certain factors that can be pivotal but are too complex or qualitative to model. I have tried to come up with a list of critical factors that greatly affect the health of an economy over many years (such as education, infrastructure, healthcare, etc.). The list is below, and when you look at how we have performed in these areas, it’s rather condemning. Our shortcomings in these areas clearly have impeded the prosperity of the U.S. economy and have failed many of our fellow citizens over the past two decades or so. Many of our high schools, vocational schools and community colleges do not properly prepare today’s younger generation for available professional-level jobs, many of which pay a multiple of the minimum wage. We used to be among the best in the world at training our workforce for good jobs, but now we are falling short. This is a huge reason for both inequality and lack of opportunity. Our inner-city high schools are failing their communities and are leaving too many behind. In some inner-city schools, fewer than 60% of students graduate, and of those who do, a significant number are not prepared for employment and are often relegated to a life of poverty. Proper training and retraining would also help in our rapidly changing technological world. Finally, skills training has become increasingly important over time, and the negligence of our education systems to be responsive to employers’ current needs has to have reduced GDP growth. Excessive regulation for both large and small companies has reduced growth and business formation without making the economic system safer or better. The ease of starting a business in the United States has worsened, and both small business formation and employment growth have dropped to the lowest rates in 30 years. 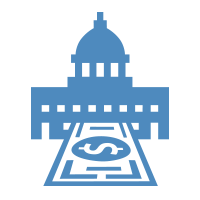 By some estimates, approximately $2 trillion is spent on federal regulations annually, which is about $15,000 per household. We need good regulations, and we have to get better at effectively implementing them – accomplishing the desired good outcomes – while minimizing unnecessary costs and bad unintended consequences. It took eight years to get a man to the moon (from idea to completion), but it now can take a decade to simply get the permits to build a bridge or a new solar field. The country that used to have the best infrastructure on the planet by most measures is now not even ranked among the top 20 developed nations, according to the World Economic Forum's Basic Requirement Index, which reflects infrastructure along with other criteria. We are falling behind on airports, bridges, water, highways, aviation and more. One study examined the effect of poor infrastructure on efficiency (for example, poorly constructed highways, congested airports with antiquated air traffic control systems, aging electrical grids and old water pipes) and concluded this could all be costing us more than $200 billion a year. Philip K. Howard, who does some of the best academic work on America’s infrastructure, estimates it would cost $4 trillion to fix our aging infrastructure — and this is less than it would cost not to fix it. In fact, a recent study by Business Roundtable found that every dollar spent restoring our infrastructure system to good repair and expanding its capacity would produce nearly $4 in economic benefits. What happened to that “can-do” nation of ours? Over the last 20 years, as the world reduced its tax rates, America did not. Our previous tax code was increasingly uncompetitive, overly complex and loaded with special-interest provisions that created winners and losers. This was driving down capital investment in the United States and giving an advantage to foreign companies, thereby reducing productivity and causing wages to remain stagnant. The good news is the recent changes in the U.S. tax system include many of the key ingredients to fuel economic expansion: a business tax rate that will make the United States competitive around the world along with provisions to free U.S. companies to bring back profits earned overseas. Our litigation system now costs 1.6% of GDP, 1% more than what it costs in the average OECD (Organisation for Economic Co-operation and Development) nation. Forty percent of foreign students who receive advanced degrees in science, technology and math (300,000 students annually) have no legal way of staying here, although many would choose to do so. Most students from countries outside the United States pay full freight to attend our universities, but many are forced to take the skills they learned here back home. From my vantage point, that means one of our largest exports is brainpower. We need more thoughtful, merit-based immigration policies. In addition, most Americans would like a permanent solution to DACA (Deferred Action for Childhood Arrivals) and a path to legal status for law-abiding, tax-paying undocumented immigrants — this is tearing the body politic apart. The Congressional Budget Office estimates the failure to pass immigration reform earlier this decade is costing us 0.3% of GDP a year. The inability to reform mortgage markets has dramatically reduced mortgage availability. In fact, our analysis shows that, conservatively, more than $1 trillion in additional mortgage loans might have been made over a five-year period had we reformed our mortgage system. J.P. Morgan analysis indicates that the cost of not reforming the mortgage markets could be as high as 0.2% of GDP a year. Wages for low-skilled work are no longer a living wage — the incentives to start work have been declining over time. Add to this the education issues already mentioned above. Two other contributing factors are that many former felons have a hard time getting jobs, and an estimated 2 million Americans are currently addicted to opioids (in 2017, a staggering 48,000 Americans died because of opioid overdoses). Some studies show that addiction is one of the major reasons why many men ages 25–54 are permanently out of work. Irrational student lending, soaring college costs and the burden of student loans have become a significant issue. 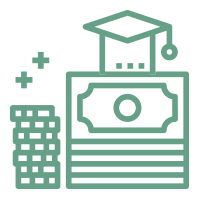 The impact of student debt is now affecting mortgage credit and household formation – a $1,000 increase in student debt reduces subsequent homeownership rates by 1.8%. Recent research shows that the burdens of student debt are now starting to affect the economy. This inevitably leads to waste, inefficiency and constraints on multi-year planning. One striking example: It may cost the military at least 20% of its spending power when budgets are not approved on time and continuous spending resolutions are imposed. And we don’t do some basic things well, like account for loans and guarantees properly and demand appropriate funding of public pension plans. It is hard to look at these issues in their totality and not conclude that they have a significant negative effect on the great American economic engine. My view is if you add it all up, this dysfunction could easily have been a 1% drag on our growth rate. Before I talk about some ideas to address these issues, I would like to discuss one major debate currently in the echo chamber. Show me a country without any large, successful companies, and I will show you an unsuccessful country – with too few jobs and not enough opportunity as an outcome. And no country would be better off without its large, successful companies in addition to its midsized and small companies. Private enterprise is the true engine of growth in any country. Approximately 150 million people work in the United States: 130 million work in private enterprise and only 20 million people in government. As I pointed out earlier in this letter, large, successful companies generally provide good wages, even at the starting level, as well as insurance for employees and their families, retirement plans, training and other benefits. Companies in a free enterprise system drive innovation through capital investments and R&D; they are huge supporters of communities; and they often are at the forefront of social policy. Are they the reason for all of society’s ills? Absolutely not. However, in many ways and without ill intent, many companies were able to avoid – almost literally drive by – many of society’s problems. Now they are being called upon to do more – and they should. 3. All these issues are fixable, but that will happen only if we set aside partisan politics and narrow self-interest — our country must come first. We need to set aside partisan politics. None of these issues is exclusively owned by Democrats or Republicans. To the contrary, it is clear that partisan politics is stopping collaborative policy from being implemented, particularly at the federal level. This is not some special economic malaise we are in. This is about our society. We are unwilling to compromise. We are unwilling or unable to create good policy based on deep analytics. And our government is unable to reorganize and keep pace in the new world. Plain and simple, this is a collective failure to put the needs of society ahead of our personal, parochial and partisan interests. If we do not fix these problems, America’s moral, economic and military dominance may cease to exist. In my view, we need a Marshall Plan for America. To do this, Democrats have to acknowledge that many of the things that have been done as a nation – often in the name of good – have sometimes not worked and need to be modified. Throwing money at problems does not always work. Recently, a report showed that the federal government wasted nearly $1 billion on charter schools due to mismanagement and lack of adequate oversight – this was money intended to help children. Democrats should acknowledge Republicans’ legitimate concerns that sending money to Washington tends to be simply seen as waste, ultimately offering little value to local communities. Republicans need to acknowledge that America should and can afford to provide a proper safety net for our elderly, our sick and our poor, as well as help create an environment that generates more opportunities and more income for more Americans. And if we can demonstrate that we are spending money wisely, we should spend more – think infrastructure and education funding. And that may very well mean taxing the wealthy more. If that happens, the wealthy should remember that if we improve our society and our economy, then they, in effect, are among the main winners. Our nation requires strong political leaders to develop good, thoughtful policies, use their political skills to determine what is doable and exercise their leadership skills to lead people toward commonsense solutions. We need to set aside our narrow self-interest. We live in an increasingly complex world where companies, governments, unions and special interest groups vie for time, attention and favorable circumstances for their respective institutions. While it is a constitutional right to petition our government, and many organizations legitimately fight for the interests of their constituents, we all may have become too self-interested. I fear that this self-interest is part of what is destroying the glue that holds our society together. We all share a collective responsibility to improve our country. I would like to give a few examples, which represent the tip of the iceberg (it would be easy to come up with thousands more). Governments, both federal and state, fight to keep military bases open that we don’t need and Veterans Affairs hospitals that are broken – making the military more costly and less effective. Our shortcomings are not just about inefficiencies; they border on immoral. In an incredibly depressing story, former Secretary of Defense Bob Gates describes how Congress took years longer than it should have to approve the building of U.S. Army personnel carriers that we needed in Iraq and Afghanistan to protect our soldiers from improvised explosive devices. While we dallied, many of our soldiers died or received terrible lifelong injuries. Five states (California, Connecticut, Illinois, New Jersey and New York) fight for unlimited state and local tax deductions because those five states reap 46% of the benefit – even worse, knowing that over 80% of the benefits from these deductions go to people who earn more than $320,000 a year. Businesses are equally guilty here. Just start digging through the tax code – buried in there are an extraordinary number of loopholes, credits and exemptions that aren’t about competitiveness or good tax policy. Suffice it to say, industry gets its share of tax breaks and forms of protection from legitimate competition. I could add hospitals, schools and unions to this list – none of our institutions is blameless. While leaders obviously fight for their institutions, we all need to be able to advocate for policies that are good for our organizations without being bad for our country. And as a general matter, we, as citizens, should support policies that are good for our country even if they may not be good for us individually. For too long, too many have fought to use regulation and legislation to further their interests without appropriate regard for the needs of the country. 4. Governments must be better and more effective — we cannot succeed without their help. The rest of us could do a better job, too. The U.S. federal government is becoming less relevant to what is going on in people’s lives. People have generally lost faith in the ability of institutions to deliver on their mission and meet societal needs. They are demanding change, and we must recognize that change is needed. We need dramatic reform of our global and federal institutions and how we attack our biggest societal challenges. There are signs of progress, particularly in how local governments are starting to attack pressing problems – the ones that directly affect people’s lives, like education, housing and employment. Look at Detroit and see how excellent leadership is fixing a once failing city. We should continue to empower local governments to address the needs of our society, but we should be asking our federal government to do the same. I have already commented about needing real policies that include thoughtful plans to increase growth and create more opportunity for everyone. Faster growth will raise incomes, generate opportunities and create the wherewithal to fund improvements in our social welfare programs. (In the sidebar below, I describe some possible solutions to the problems previously highlighted above). These solutions are not my own but are a synthesis of some of the best thoughts that we have seen. Some of these solutions are simple, and some are more complex. And obviously, if they were politically easy to put into practice, that would have been done by now. However, I am convinced that if we could get ideas like these implemented, economic growth and opportunity for all would be greatly enhanced. We know what to do. High schools and community colleges should work with local businesses to create specific skills training programs, internships and apprenticeships that prepare graduating students to be job-ready — whether they go on to earn a credential, to work or to attend college. With 7 million job openings and 6 million unemployed workers in the United States, there is an opportunity for companies to work with local institutions, including community colleges and local apprenticeship programs. Business must be involved in this process, and it needs to be done locally because that is where the actual jobs are. Germany does an exceptional job at apprenticeships. Germany has one of the strongest education and training systems in the world, with about 1.5 million young people annually participating in apprenticeship programs that are paid opportunities to gain in-demand skills along with an education. The vocational schools and apprenticeship programs work directly with local businesses to ensure students are connected to available jobs upon graduation. Germany’s youth unemployment rate is one of the lowest in the world. Some countries are now implementing mandatory preschool for children at three years of age. This is a wonderful policy. It makes childcare less expensive and has proved to be extraordinarily good for student education short and long term. Parents like it, too. Of course, the benefits may not be seen for many years, but this is precisely the type of long-term thinking in policymaking that we need. Starting a small business today generally requires multiple licenses, which take precious months to get. But it doesn’t end there. Talk with any small business owner and that person will describe the mountains of red tape, inefficient systems and a huge amount of documentation involved to operate the business. We need to reduce the number of licenses that are required to open and run a small business. In addition, we should look at the excessive state and local rules affecting small businesses, consolidating and eliminating unnecessary rules and regulations where possible. And all regulations should have a thorough cost-benefit analysis and be periodically reviewed for current relevancy. 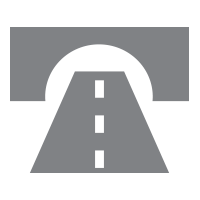 The 2015 transportation spending bill, Fixing America’s Surface Transportation Act (FAST Act), is intended to fund surface transportation programs — including highways — at over $305 billion through 2020. Its aim is to improve mobility on America’s highways; create jobs and support economic growth; decrease bureaucracy in getting projects approved and completed — and we need to finish its implementation. Again, experience from other countries may help. We could learn from Germany and Canada, for example, whose officials endorsed large infrastructure projects and sped through permitting in two to three years by forcing federal, state and local approvers to simultaneously work through a single vetting process. Significantly reducing the time of permitting also dramatically reduces the cost and uncertainty around making major capital investments. The business tax changes in the 2017 tax law made the United States more competitive, benefiting American workers today and strengthening our economy for the long term. In 2018, nominal wages increased 3.3% — the fastest rate of growth since 2008 — and job openings exceeded the number of unemployed workers for the first time since the federal government started tracking these data in 2000. Beyond this important progress, there is still more that policymakers could do to help working Americans. Of the 150 million Americans working today, approximately 21 million earn between $7.25 an hour (the prevailing federal minimum wage) and $10.10 an hour. It is hard to live on $7-$10 an hour, particularly for families (even if two household members are working). While it would be acceptable to increase minimum wages, this should be done locally and carefully so it does not increase unemployment. Perhaps a more effective step would be to expand the Earned Income Tax Credit (EITC). Today, the EITC supplements low- to moderate-income working individuals and couples, particularly with children. For example, a single mother with two children earning $9 an hour (approximately $20,000 a year) could receive a tax credit of more than $5,000 at year’s end. Last year, the EITC program cost the United States about $63 billion, and 25 million individuals received the credit. We should convert the EITC to make it more like a negative income payroll tax, which would spread the benefit, reduce fraudulent and improper payments, and get it into more people’s hands. Workers without children receive a very small tax credit — this should be dramatically expanded, too. While the rule of law and the right of plaintiffs to get their day in court are sacrosanct, there have to be ways to improve this system. One example, which works in many other countries, is to have the loser pay in some circumstances. Clearly, this would have to be done in such a way as to ensure that aggrieved parties are not denied appropriate access to our justice system. But we need a way to reduce frivolous litigation designed principally to extract fees for lawyers. 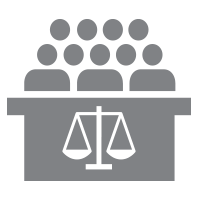 We also need to reduce the time and the cost necessary to achieve justice by adding more judges and creating more specialty courts to deal with complex issues. There has been support for bipartisan comprehensive legislation that provides substantial money for border security, creates more merit-based immigration, makes DACA permanent and gives a path to legal status or citizenship for law-abiding, hard-working, undocumented immigrants. We know this is no easy feat, but we should pass and enact legislation to resolve immigration. Things can be done to reform mortgage markets, which would increase mortgage availability — as I mentioned in the previous sidebar. We have already mentioned two critical solutions that would help improve labor force participation — make work pay more by expanding the EITC and provide graduating students with work skills that will lead to better paying jobs. Remember, jobs bring dignity. That first job is often the first rung on the ladder. People like working, and studies show that once people start working, they continue working. Jobs and living wages lead to better social outcomes — more household formation, more marriages and children, and less crime, as well as better health and overall well-being. Reducing recidivism of those who have been incarcerated is not only important to citizens with a criminal record and their families — but it can also have profound positive implications for public safety. Last year, we welcomed the Federal Deposit Insurance Corporation’s proposed changes to allow banks more flexibility in hiring citizens convicted of a crime. Our responsibility to recruit, hire, retain and train talented workers extends to this population, and we will support re-entry programs and give convicted and/or formerly incarcerated Americans a path to well-paying jobs. Finally, we should all be gratified that the government now seems to be taking the opioid problem very seriously. We should have programs to ameliorate the burden of student loans on some former students. We would be well-advised to have more properly designed underwriting standards around the creation of student loans. Direct government lending to students has grown almost 500% over the last 10 years – and it has not all been responsible lending. It would also be helpful for the government to disclose student lending programs as if they were accountable on the same basis as a bank. Addressing these factors would lead to far better, and healthier, student lending. All levels of government should do proper budgeting and planning — and on a multi-year basis. It is particularly important that most federal programs — think military, infrastructure and education — have good long-term plans and be held accountable to execute them. When the government says it is going to spend money, it should tell the American people what the expected outcome is and report on it. It should account for loans the same way the private sector does, and it should be required to do cost-benefit analysis. Somehow we need to help reinvent government to make it more efficient and nimble in the new world. While the federal government remains somewhat in a stalemate, we have seen governors and mayors at the state and local levels taking active control and framing effective solutions. They are helping to create a laboratory of what works and are often at the forefront with initiatives that restore confidence in the ability of government to deliver. We also call upon CEOs and other leaders to step up and offer non-parochial solutions. One final thought: If I were king for a day, I would always have a competitive business tax system and invest in infrastructure and education as a sine qua non to maximize the long-term health and growth of our economy and our citizens. I would not trade these issues off – I would figure out a way to properly pay for them. 5. CEOs: Your country needs you! 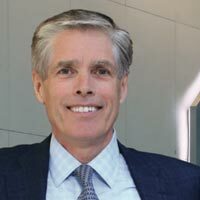 Despite the fact that CEOs are not generally viewed with high levels of trust, surprisingly, the 2019 Edelman Trust Barometer global report – encompassing a general global population of more than 33,000 respondents – shows that 76% think CEOs should take a stand on challenging issues and that 75% actually trust their employer. We believe CEOs can and should get involved – particularly when they or their companies can uniquely help design policies that are good for America. At JPMorgan Chase, we are strengthening our public policy teams to take our advocacy and ideas to the next level. We believe the best way to scale programs that we have seen work in cities, states and countries around the globe is to develop actionable public policies that allow more people to benefit from economic growth. We can use our unique capabilities, data and resources to help inform infrastructure policies, corporate governance policies, affordable housing policies, financial education policies and inclusion policies, as well as small business financing and formation, community and economic development, and others. In addition, while almost all companies can help further job skills, training, and diversity and inclusion efforts, each company can also add value where it has distinct capabilities, like expertise around healthcare, infrastructure or technology. It’s not enough just for companies to meet the letter and the spirit of the law. They can also aggressively work to improve society. They can take positions on public policy that they think are good for the country. And they can decide, with proper policies and regulatory oversight, with whom and how they will do business. However, this does get complex. What companies cannot do is abridge the law of the land or abrogate the rights of voters and their representatives to set the law of the land. There are circumstances in which JPMorgan Chase is called upon to do things and/or set policies that should have been set by the federal government – in effect, these are decisions that the voter must decide. We work very hard to try to stay on the right side of all these issues. In any event, things have changed. In the past, boards and advisors to boards advised company CEOs to keep their head down and stay out of the line of fire. Now the opposite may be true. If companies and CEOs do not get involved in public policy issues, making progress on all these problems may be more difficult. 6. America’s global role and engagement are indispensable. One of the biggest uncertainties in the world today is America’s role on the world stage. A more secure and more prosperous world is also good for the long-term security and prosperity of the United States. And America’s role in building that more secure world has been and will likely continue to be indispensable. While there are many legitimate complaints about international organizations (the North Atlantic Treaty Organization, the World Trade Organization and the United Nations), the world is better off with these institutions. America should engage and exercise its power and influence cautiously and judiciously. We should all understand that global laws, standards and norms will be established whether or not our nation participates in setting them. It is certain that we will be happier with the evolution of global standards if we help craft and implement them. We should not abdicate this role. To the contrary, it is critical that America help develop the best global standards in trade, immigration, corporate governance and many other important issues. While I have a deep and abiding faith in the United States of America and its extraordinary resiliency and capabilities, we do not have a divine right to success. Our challenges are significant, and we should not assume they will take care of themselves. Let us all do what we can to strengthen our exceptional union. I would like to express my deep gratitude and appreciation for the employees of JPMorgan Chase. From this letter, I hope shareholders and all readers gain an appreciation for the tremendous character and capabilities of our people and how they have helped communities around the world. I hope you are as proud of them as I am.